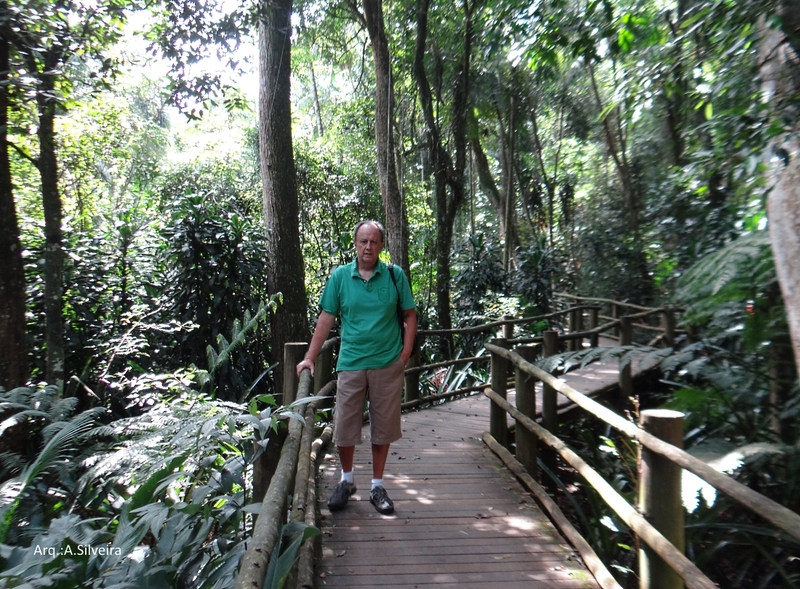 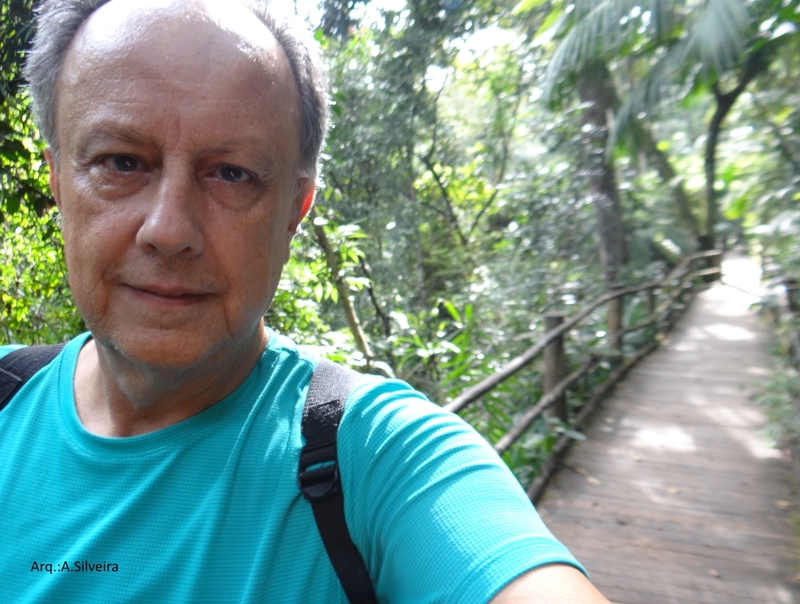 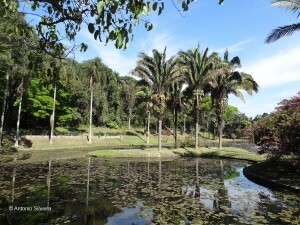 Nevertheless, it has many municipal parks, and importants state park Cantareira State Park that is the largest urban forest in the world which about 8,000 hectares, and a Botanical Garden, where which is inside the Fontes do Ipiranga state park with forested area. 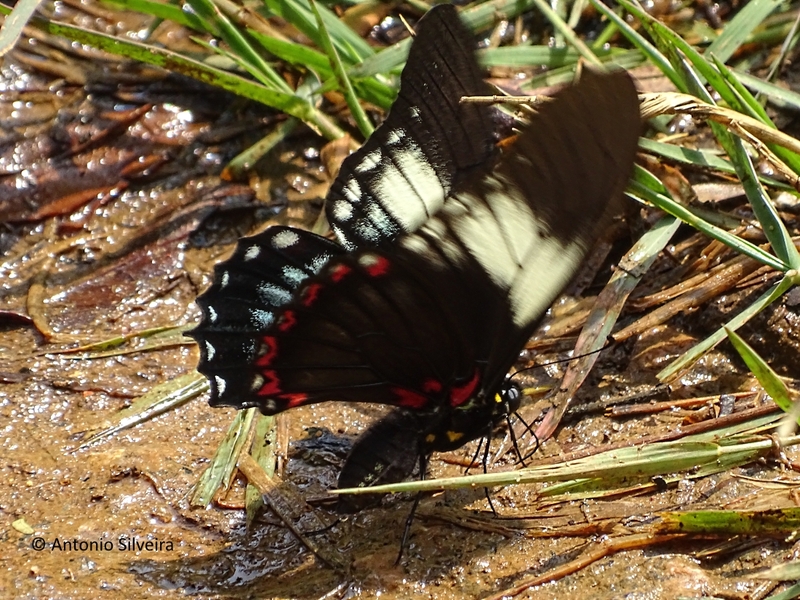 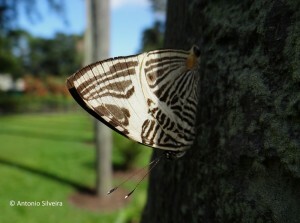 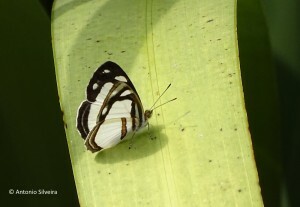 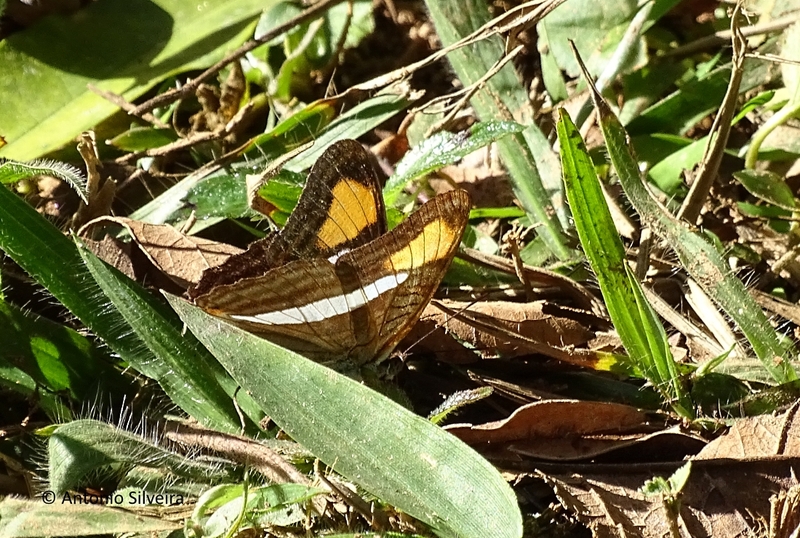 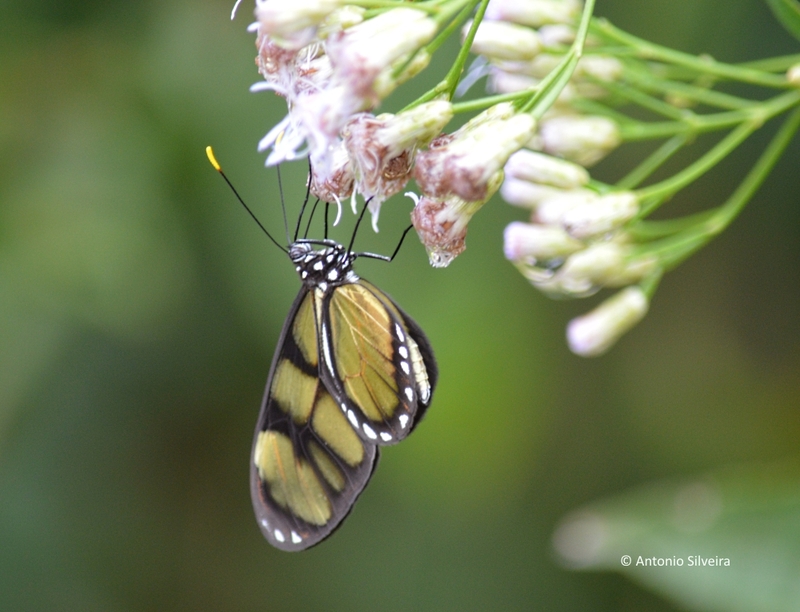 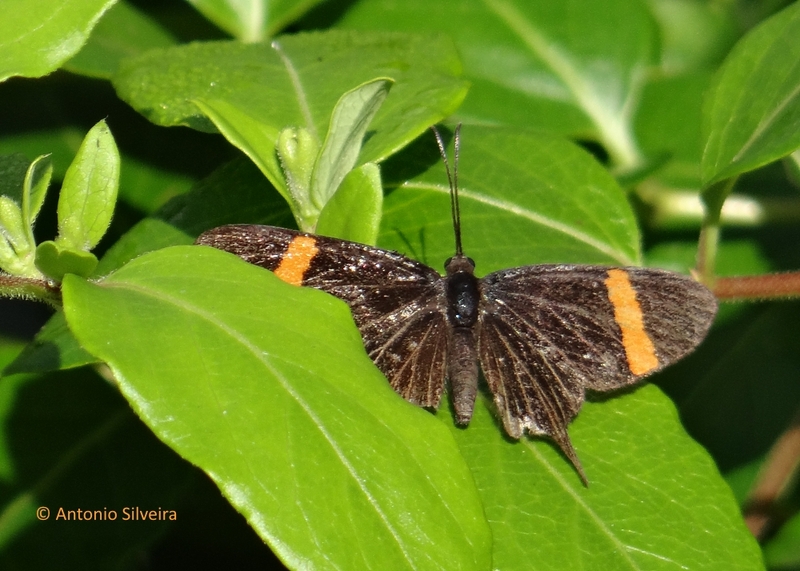 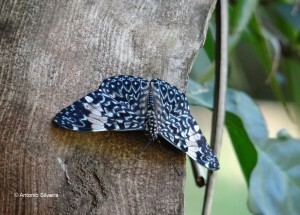 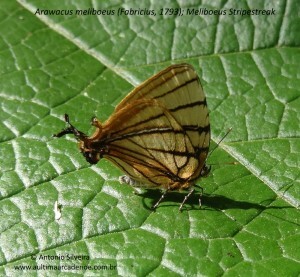 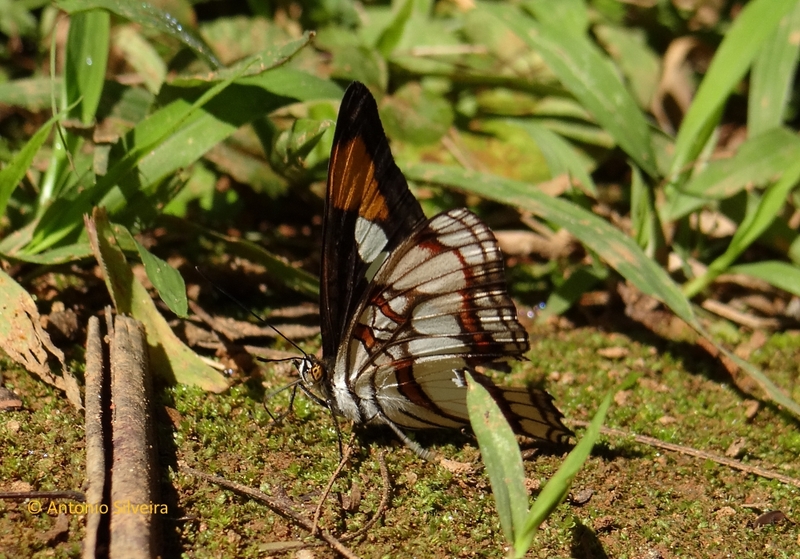 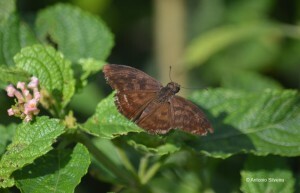 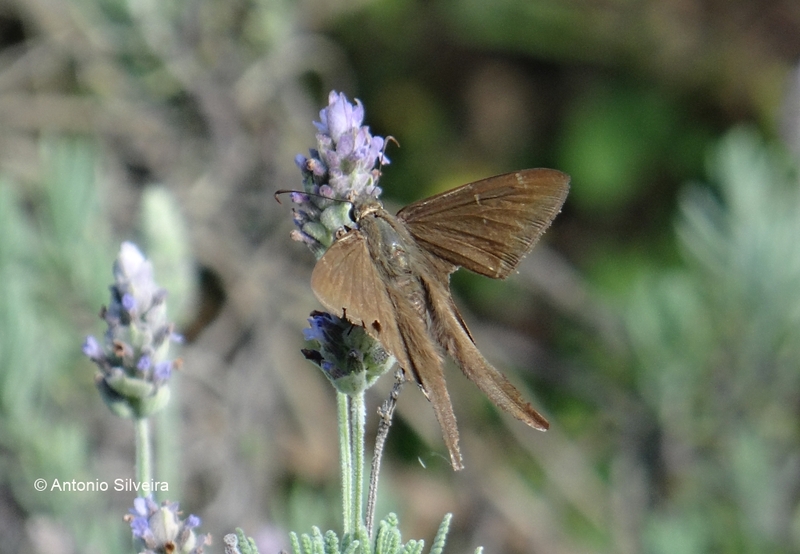 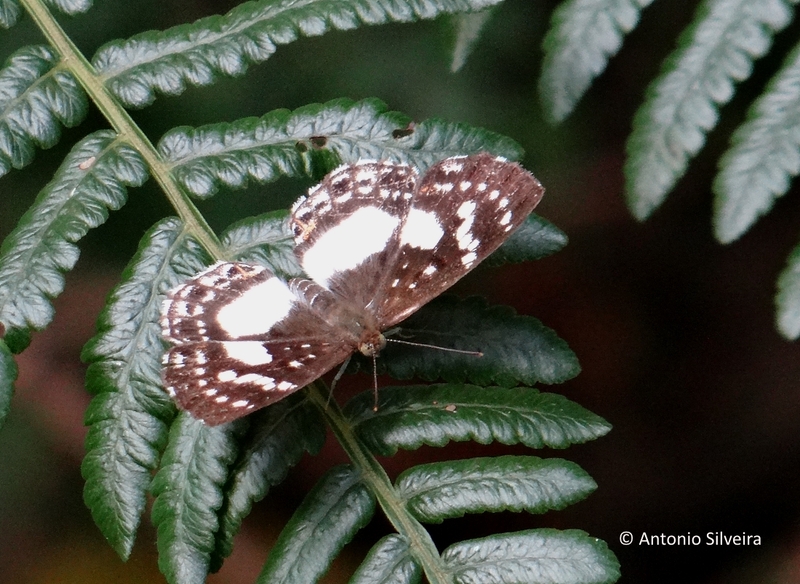 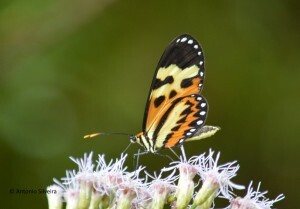 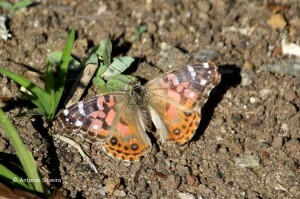 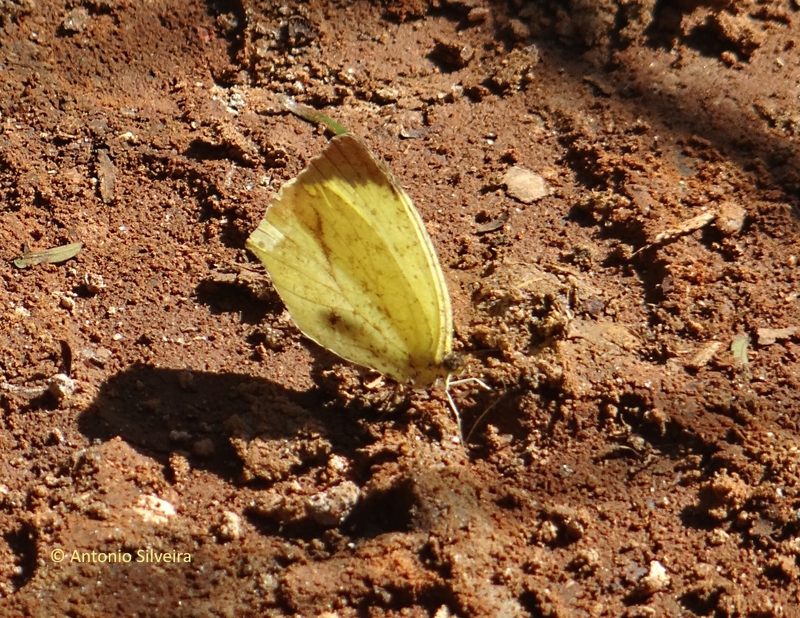 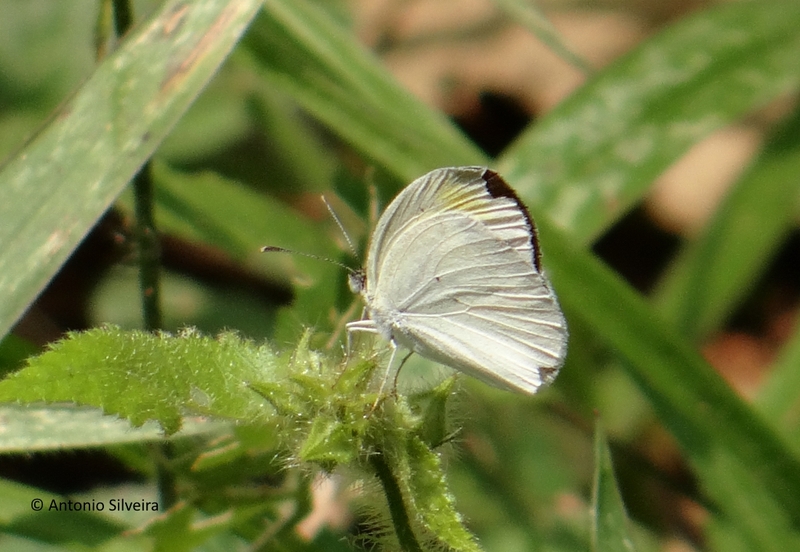 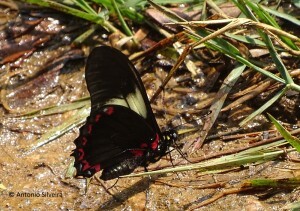 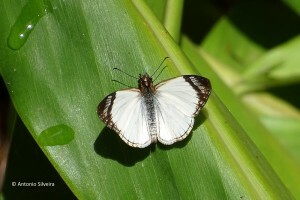 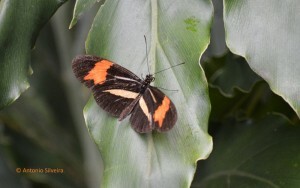 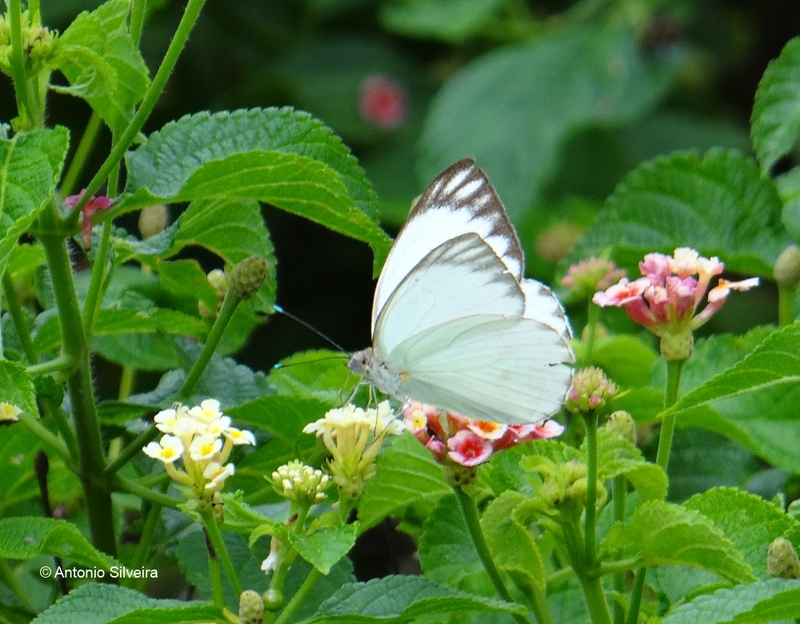 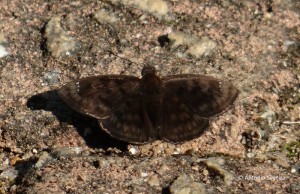 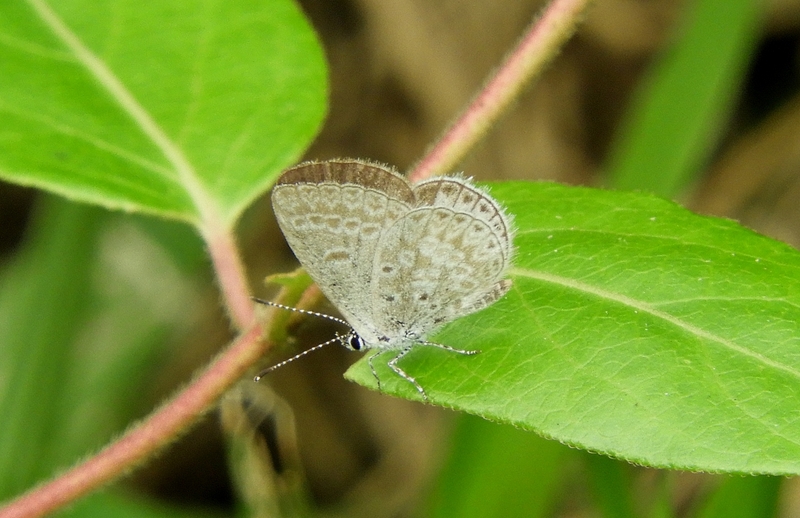 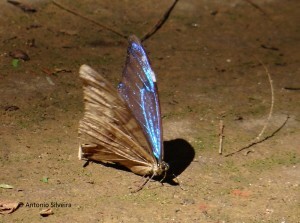 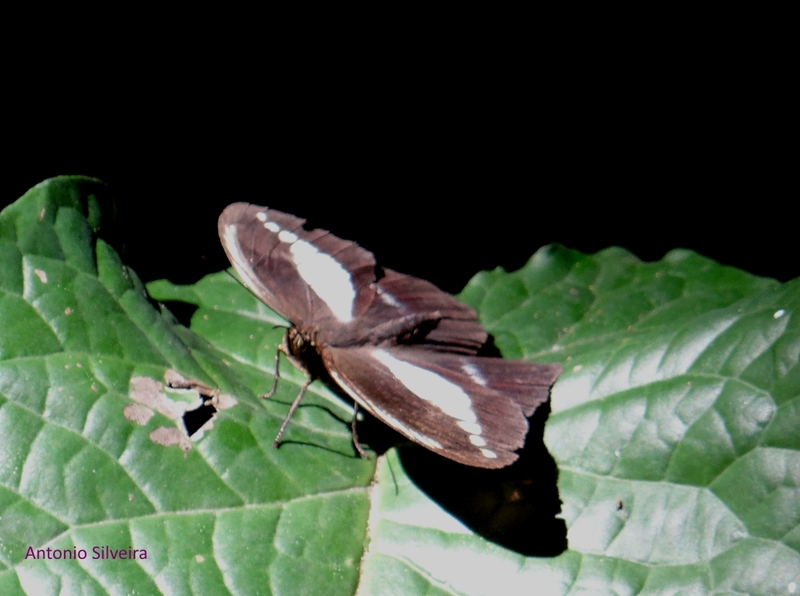 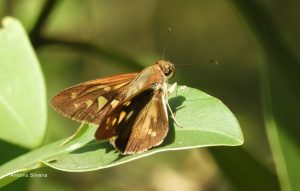 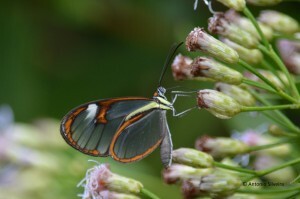 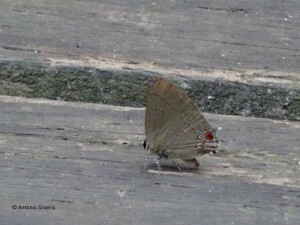 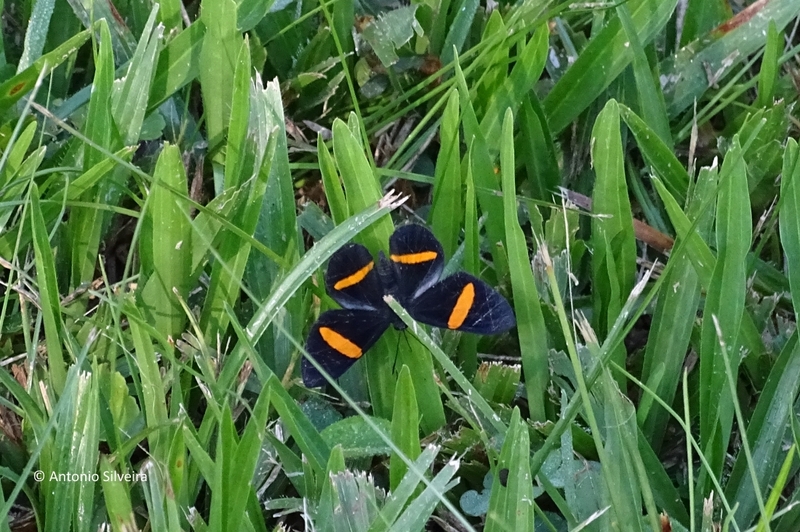 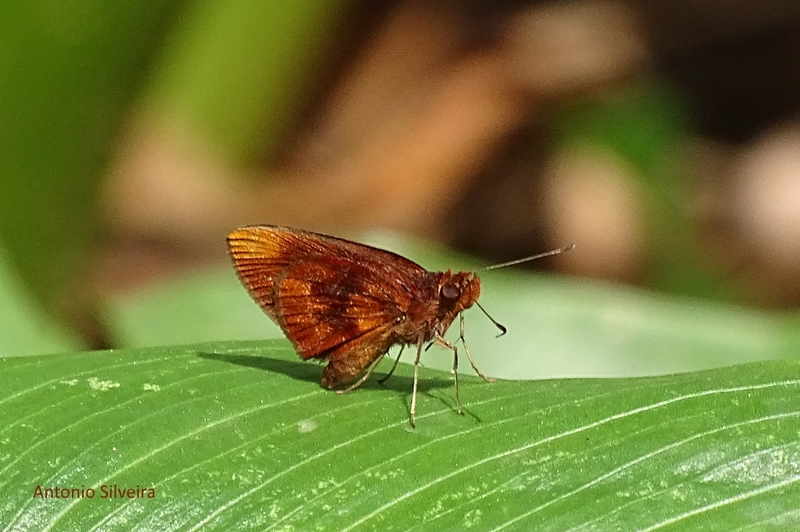 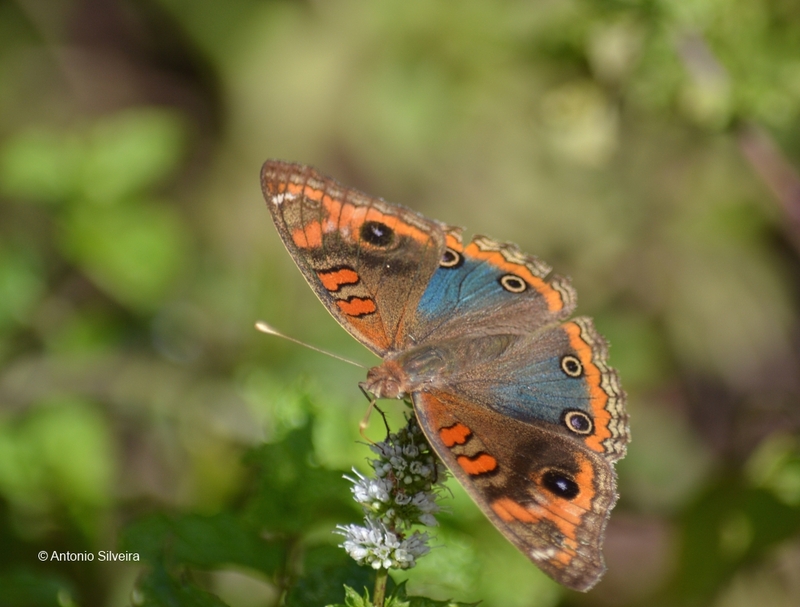 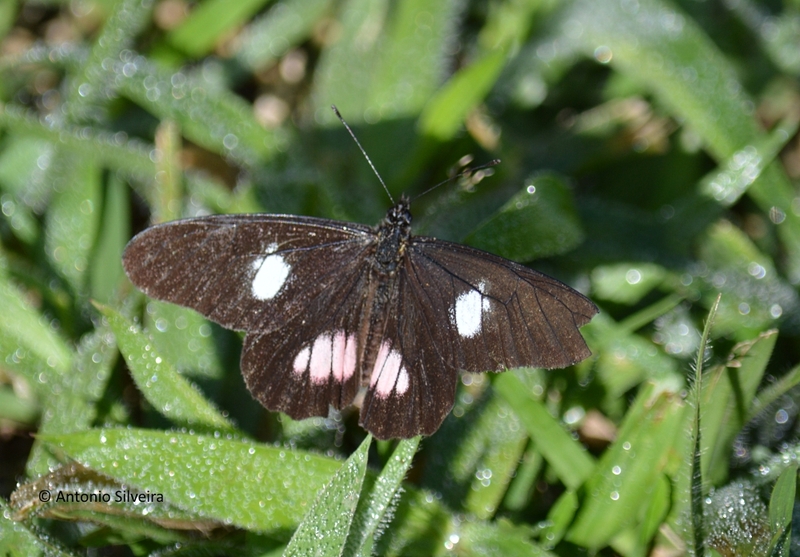 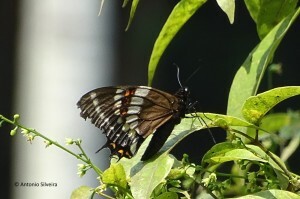 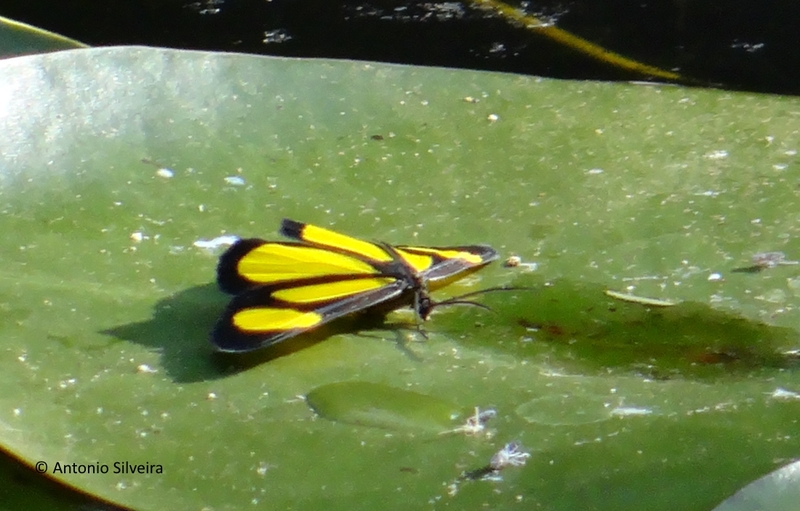 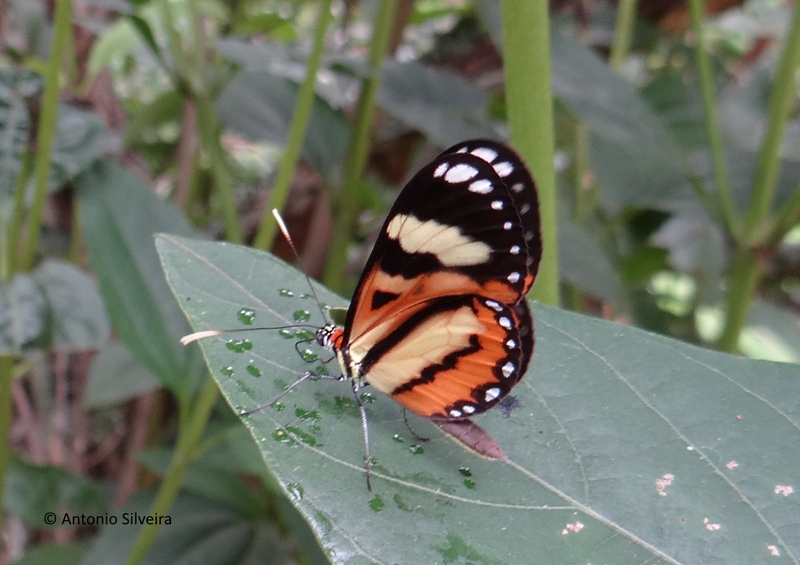 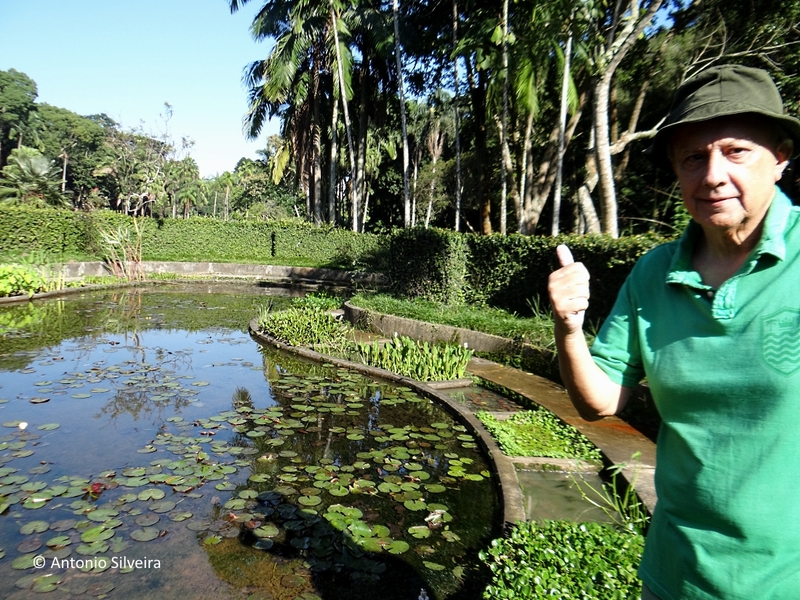 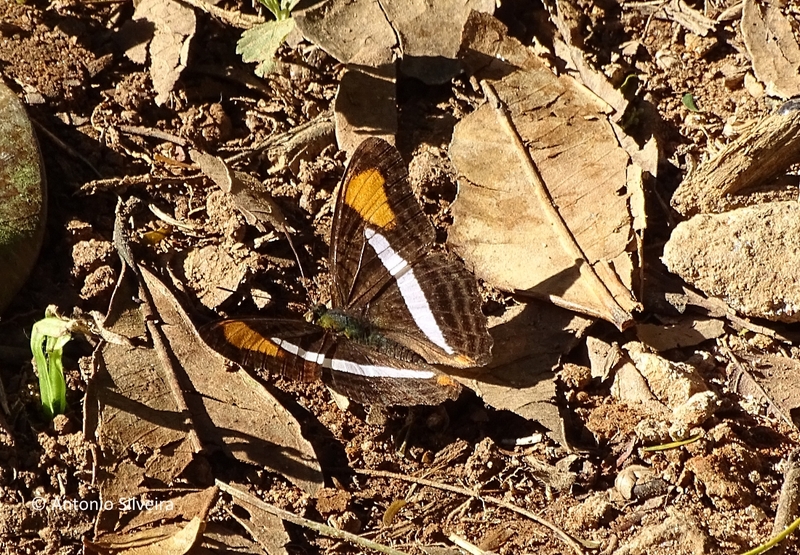 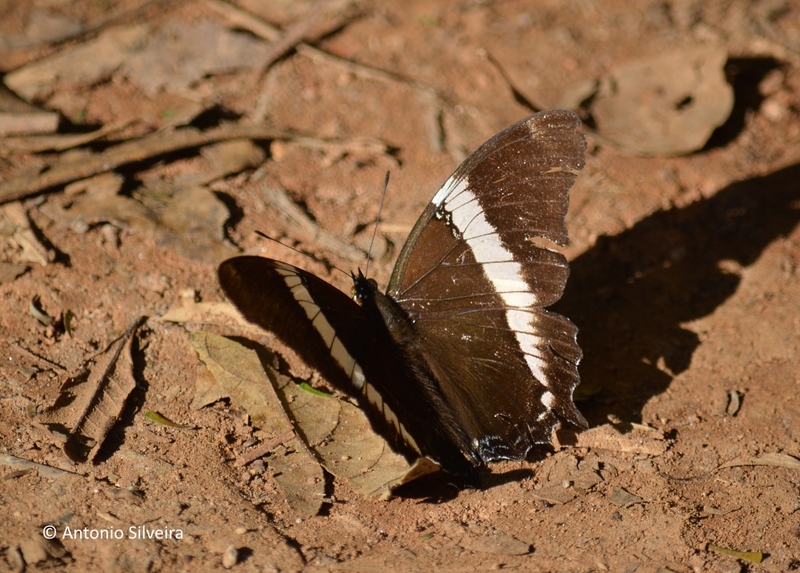 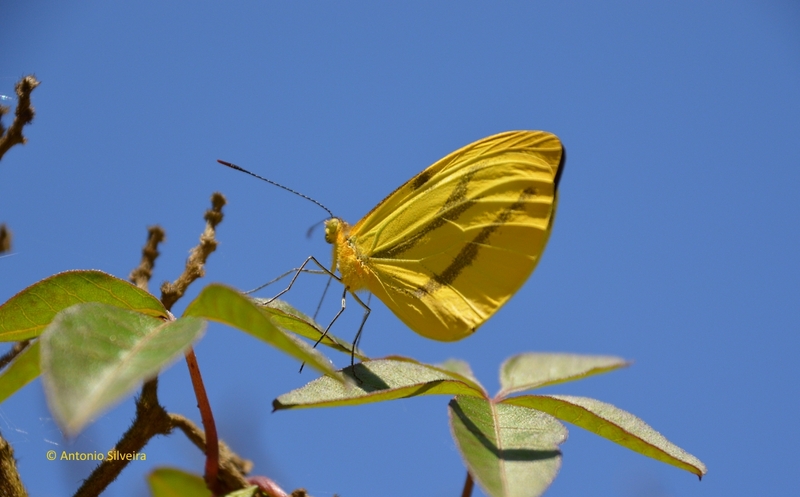 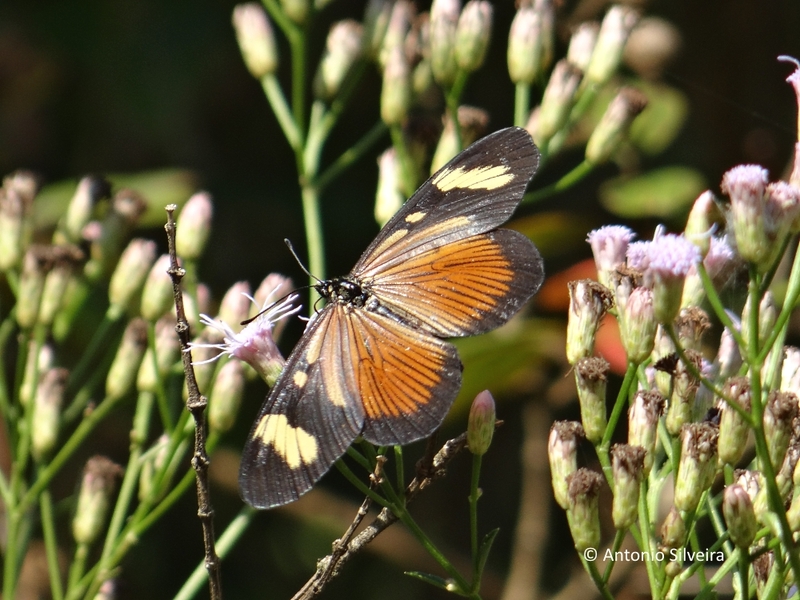 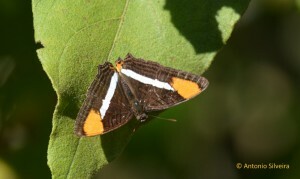 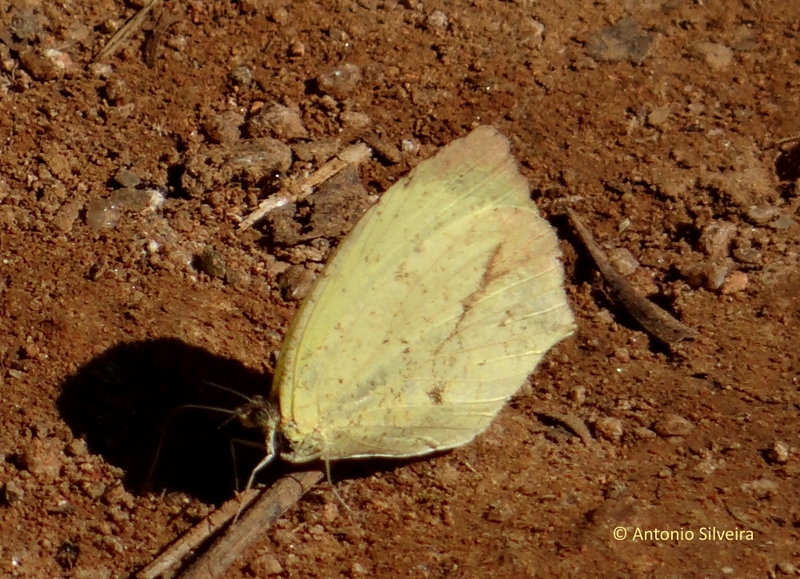 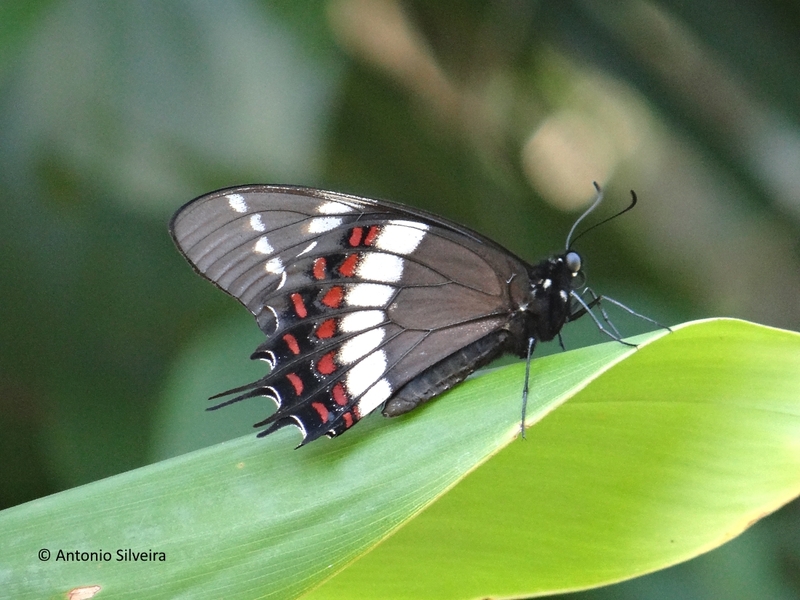 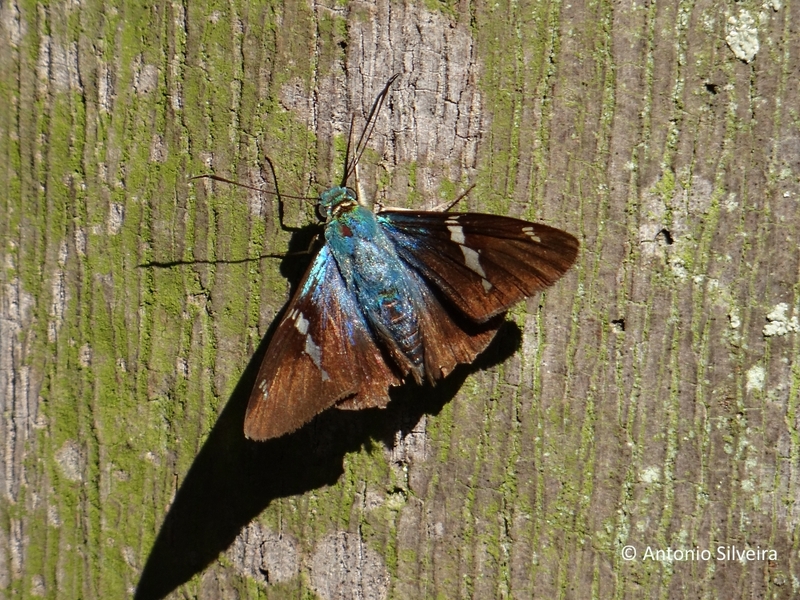 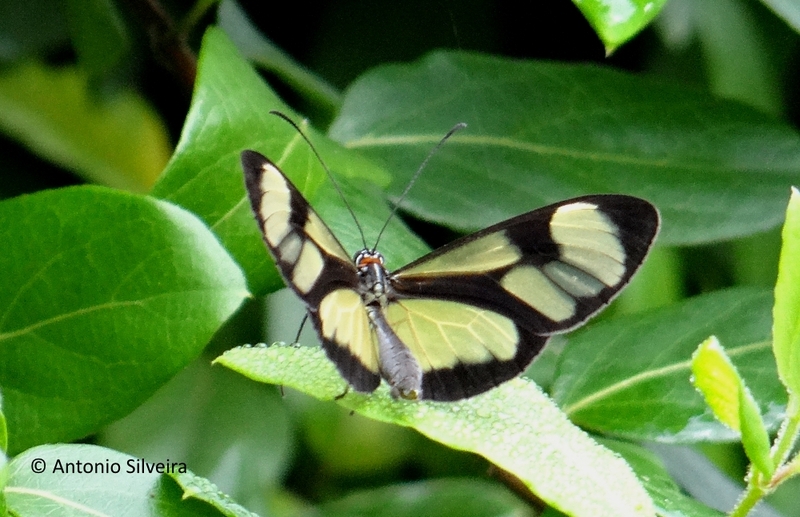 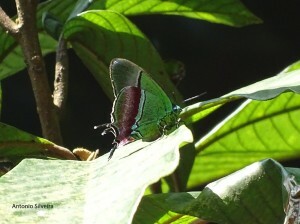 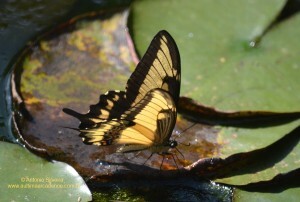 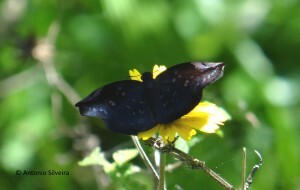 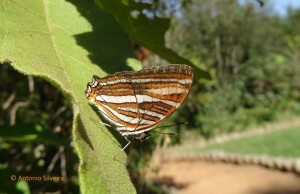 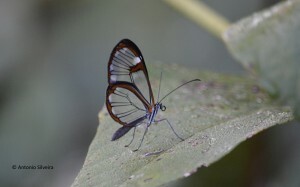 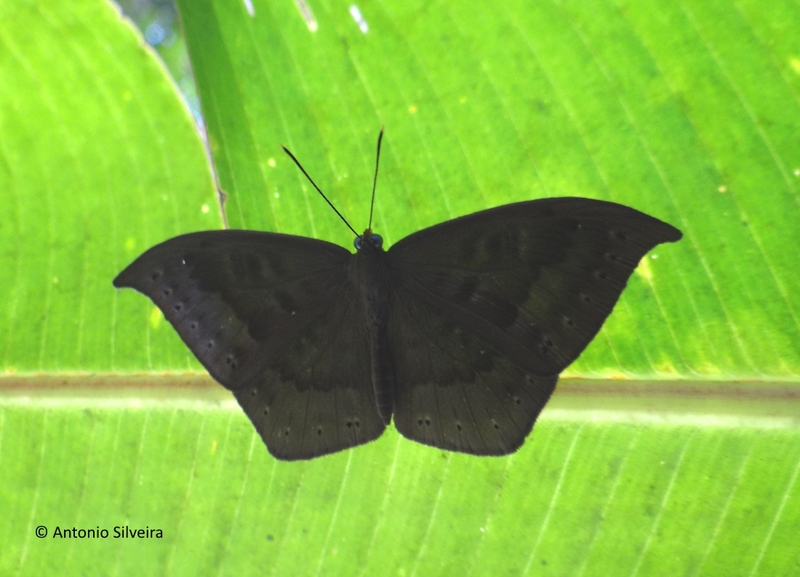 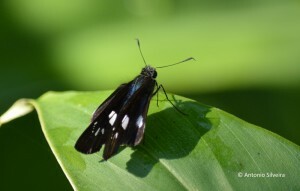 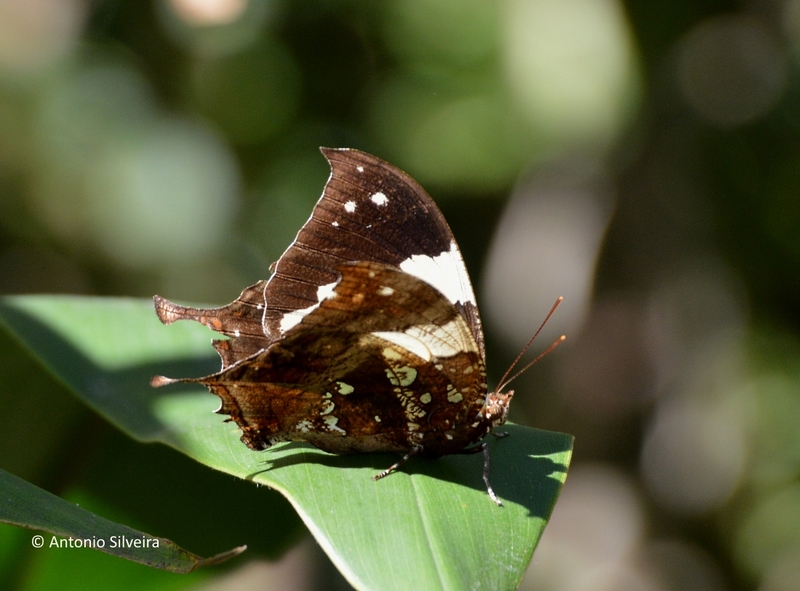 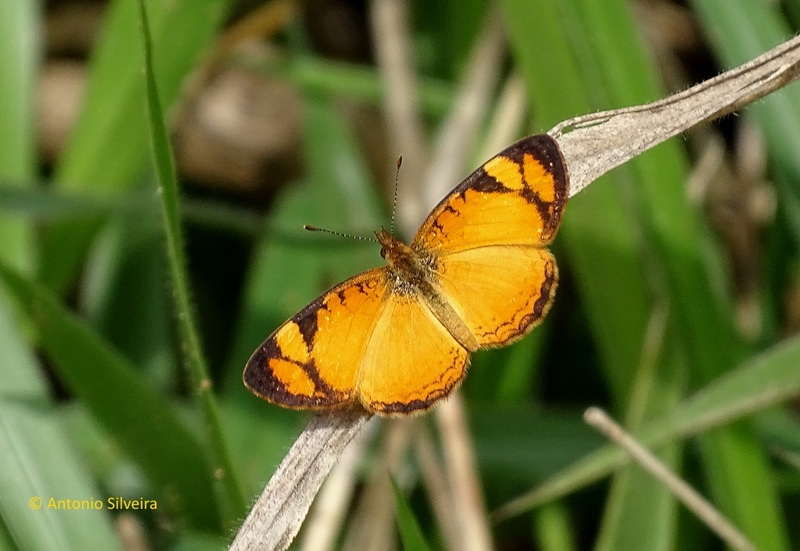 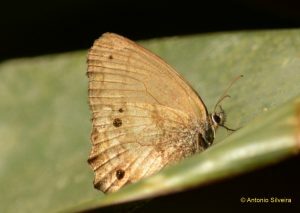 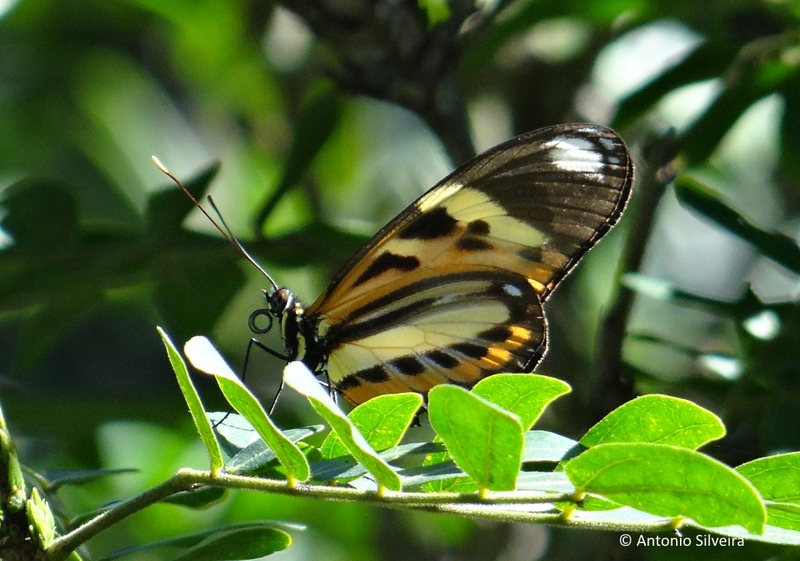 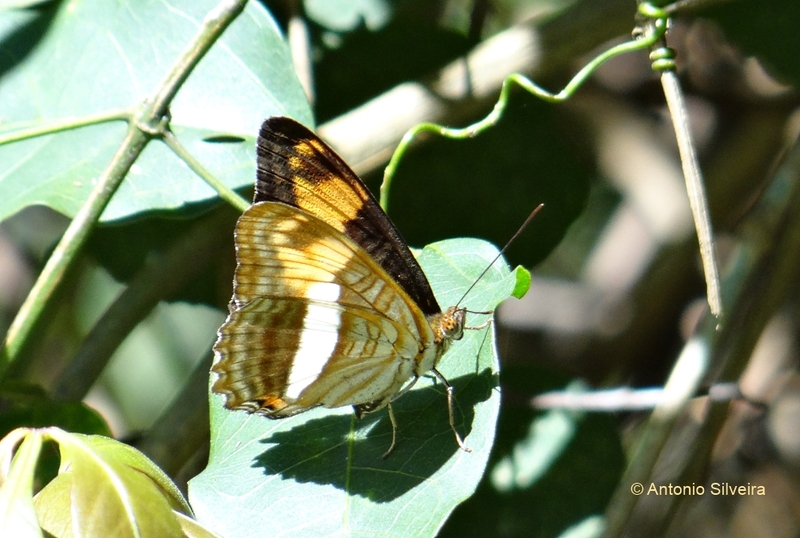 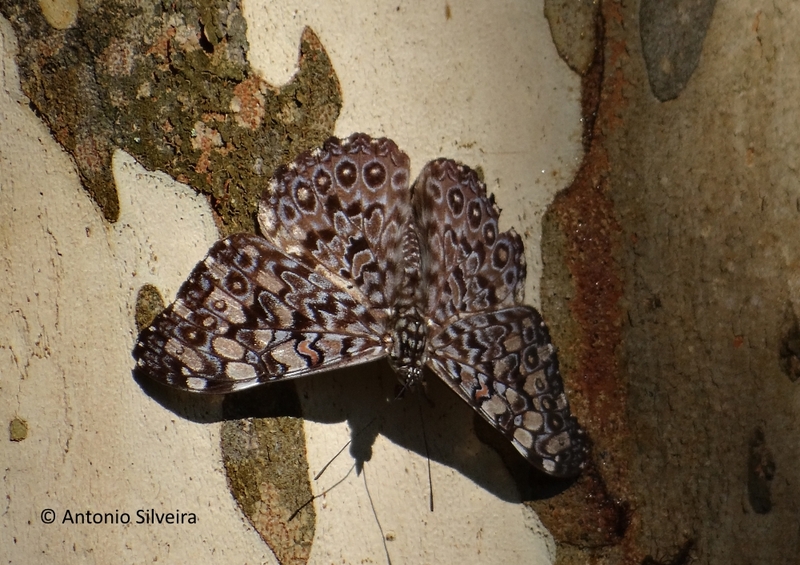 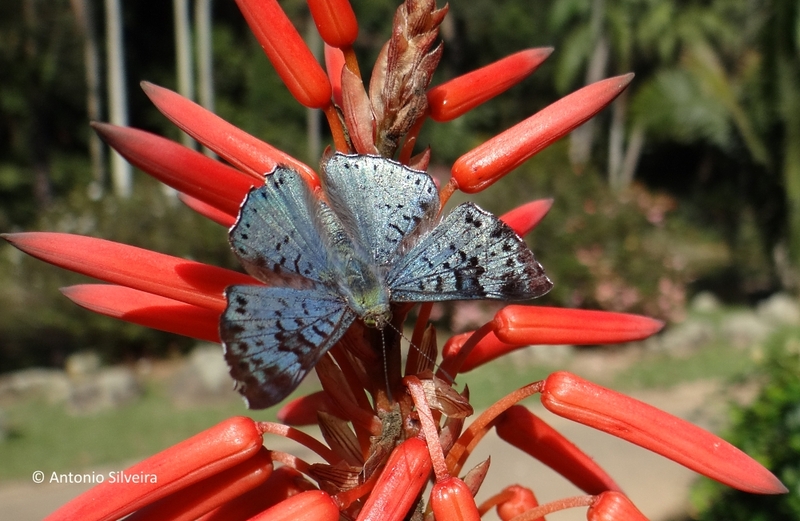 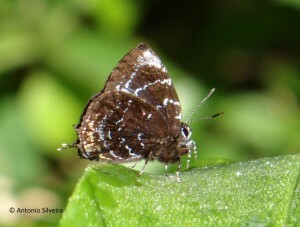 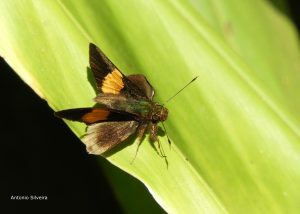 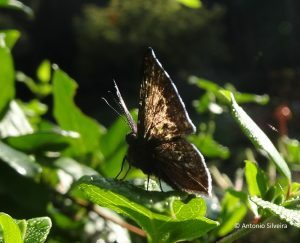 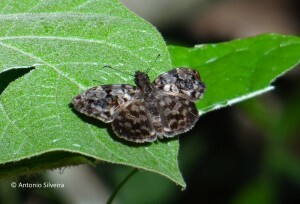 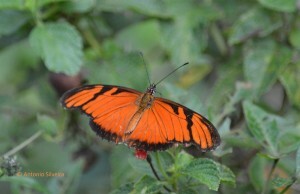 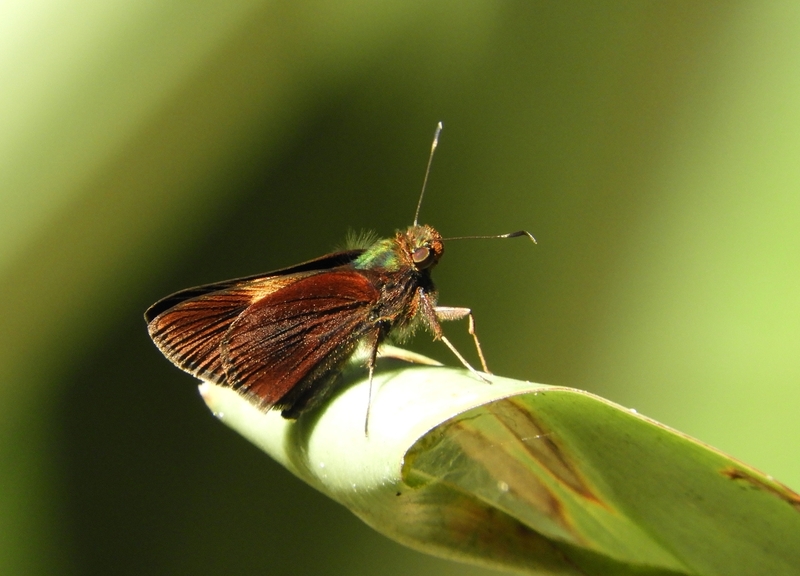 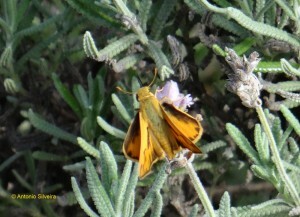 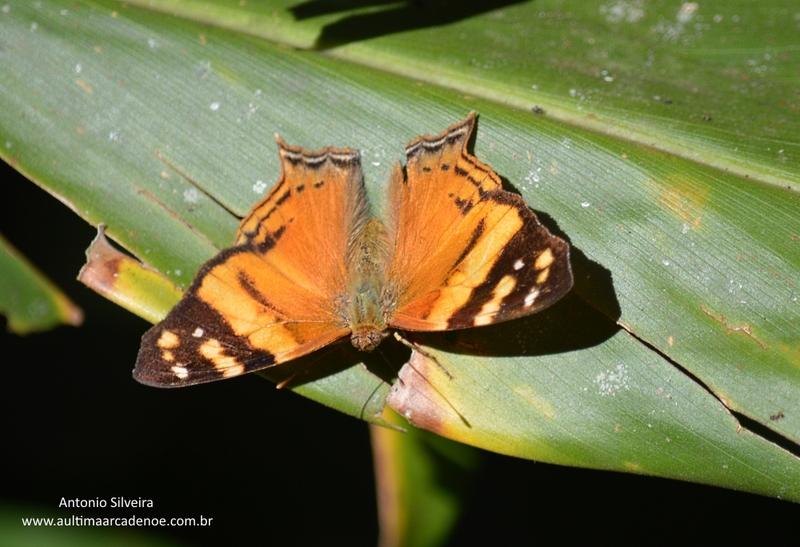 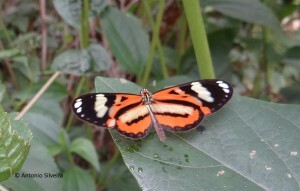 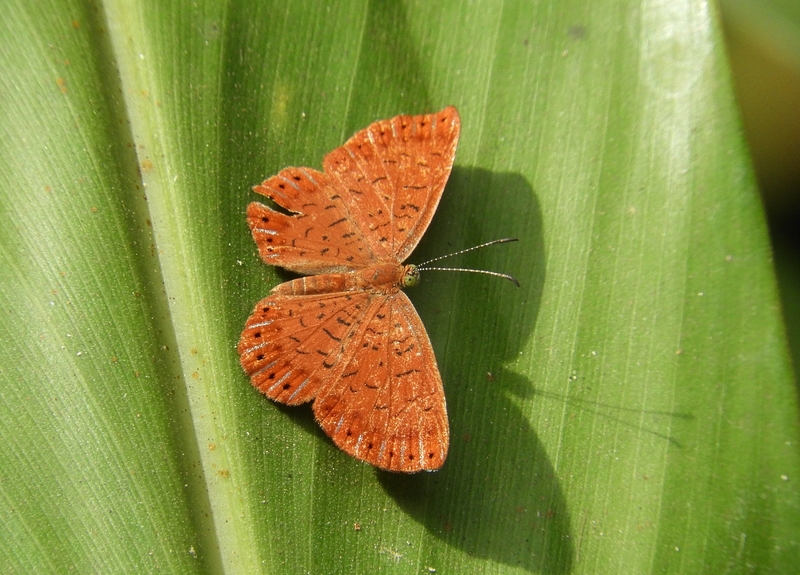 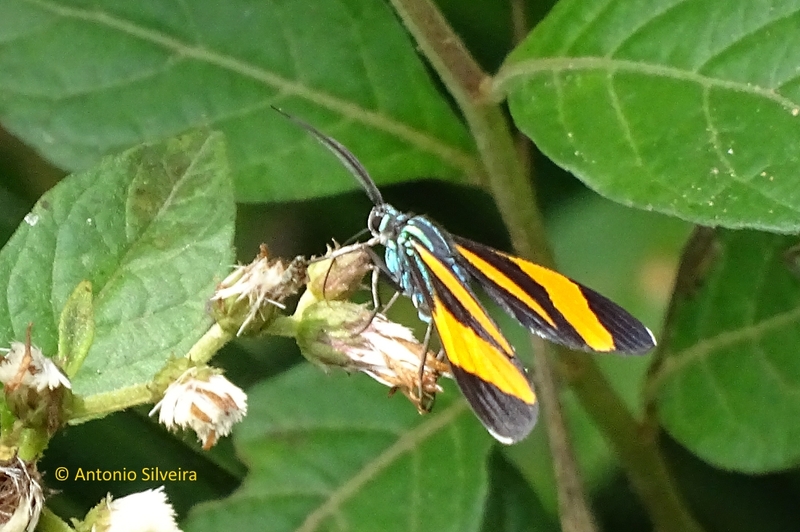 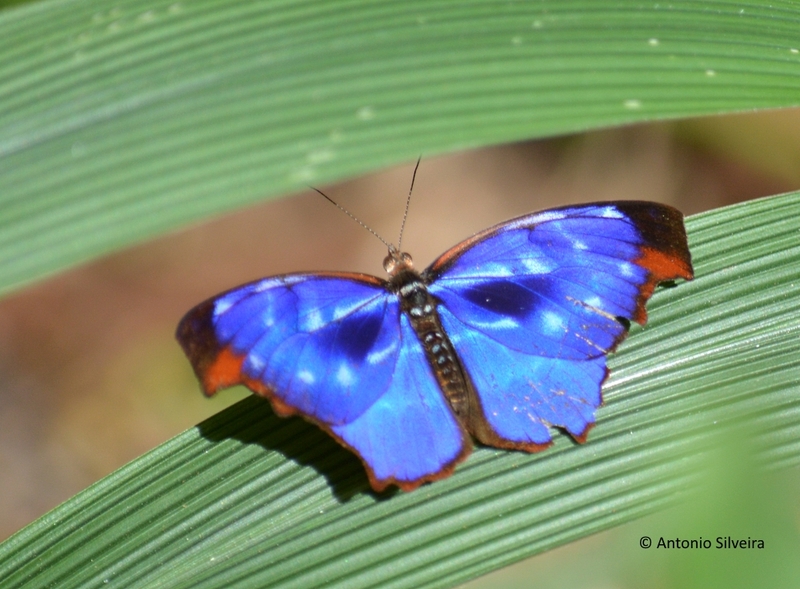 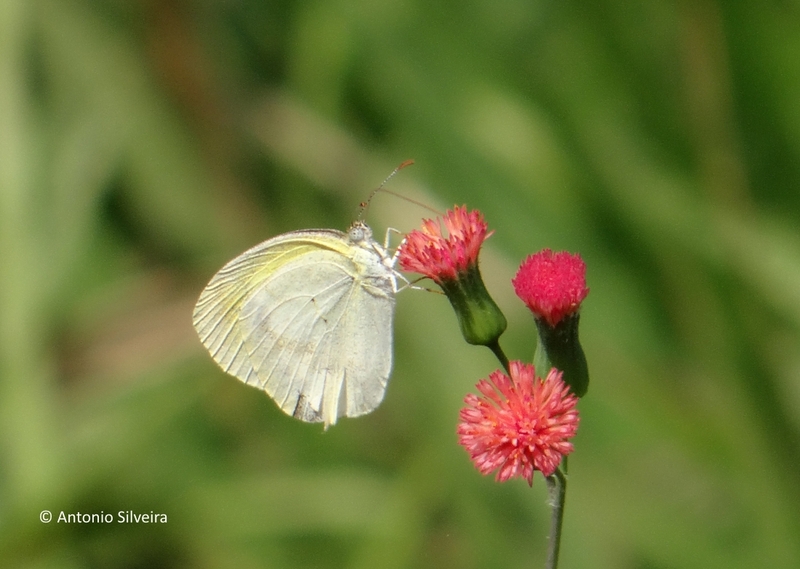 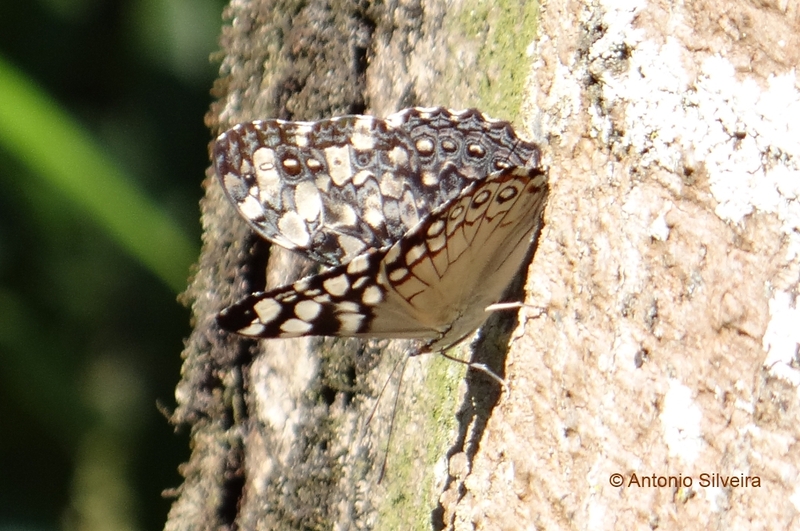 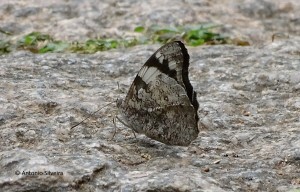 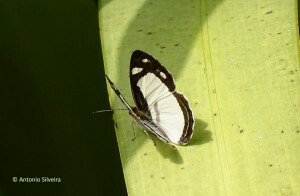 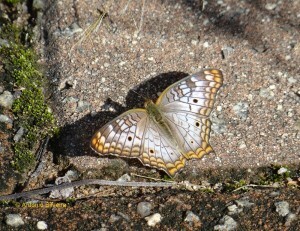 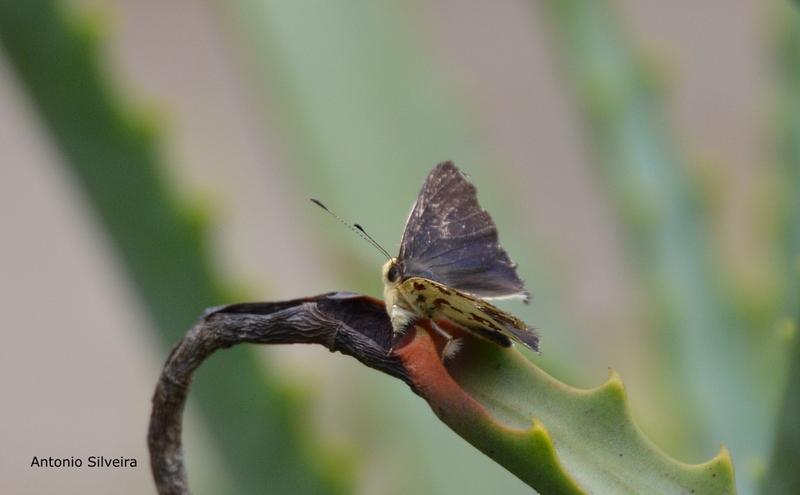 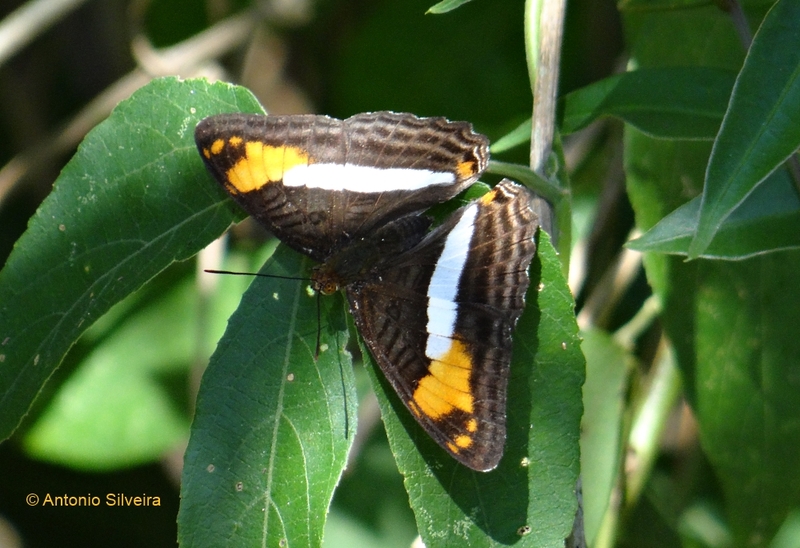 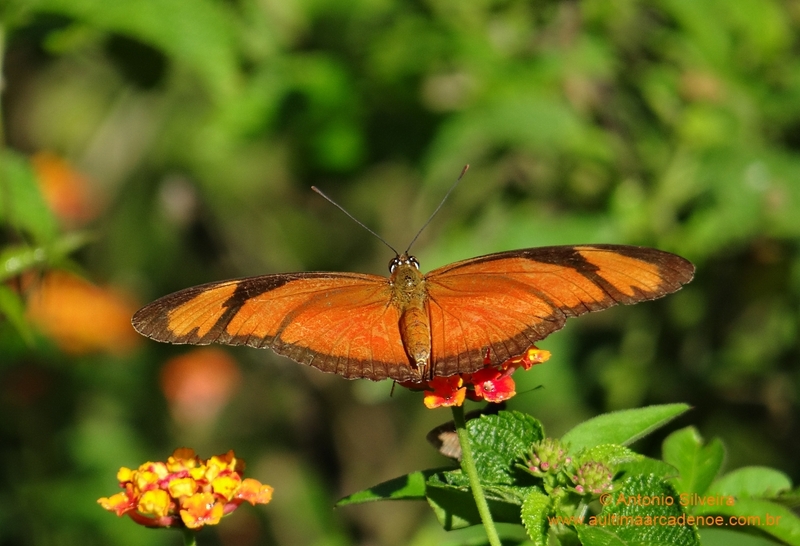 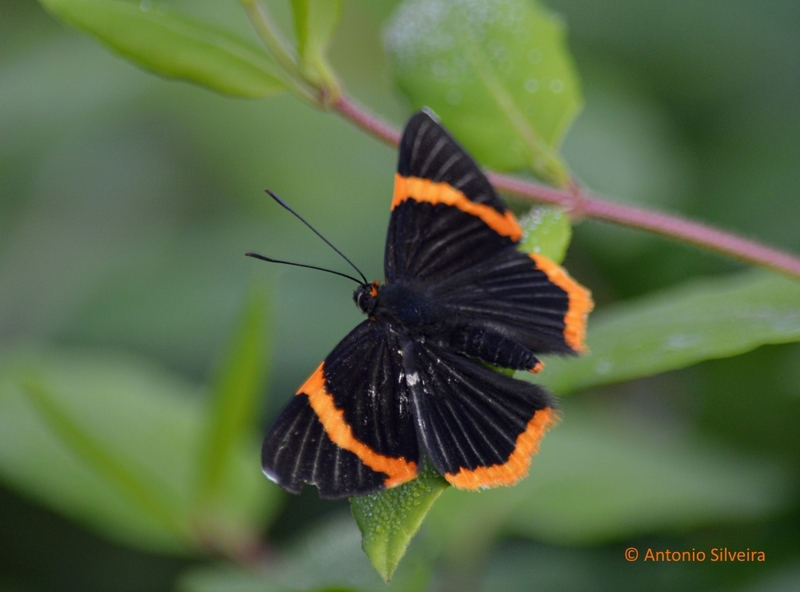 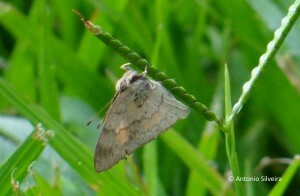 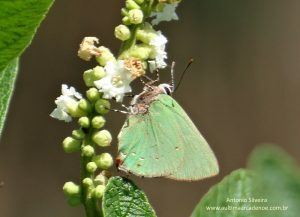 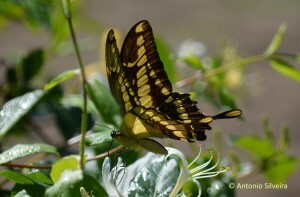 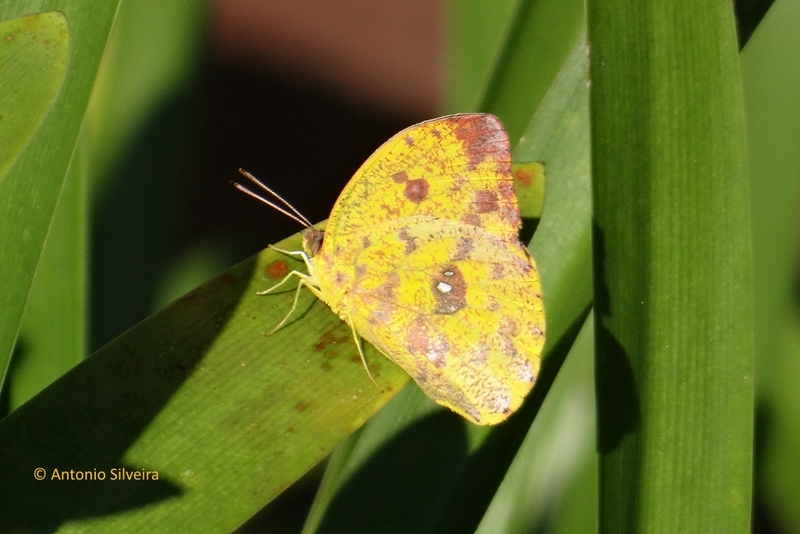 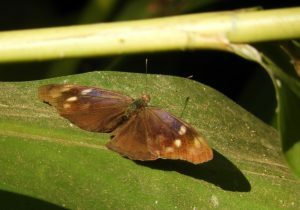 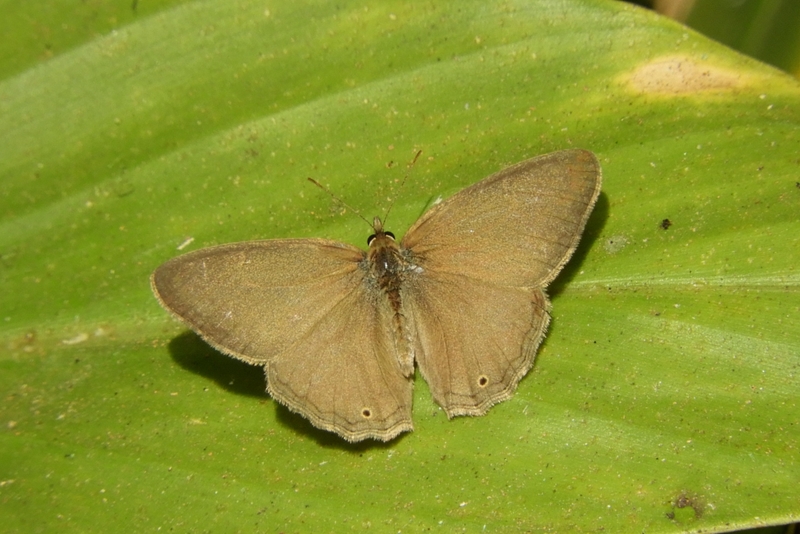 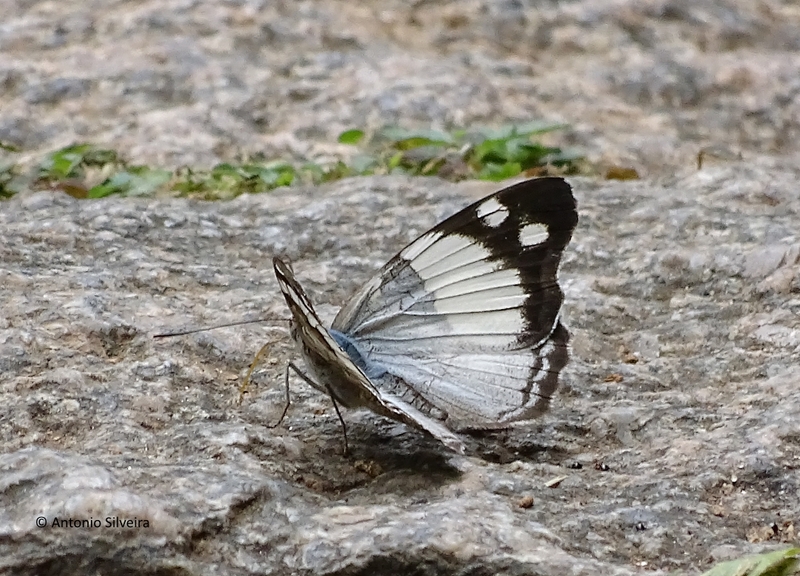 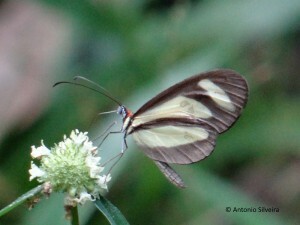 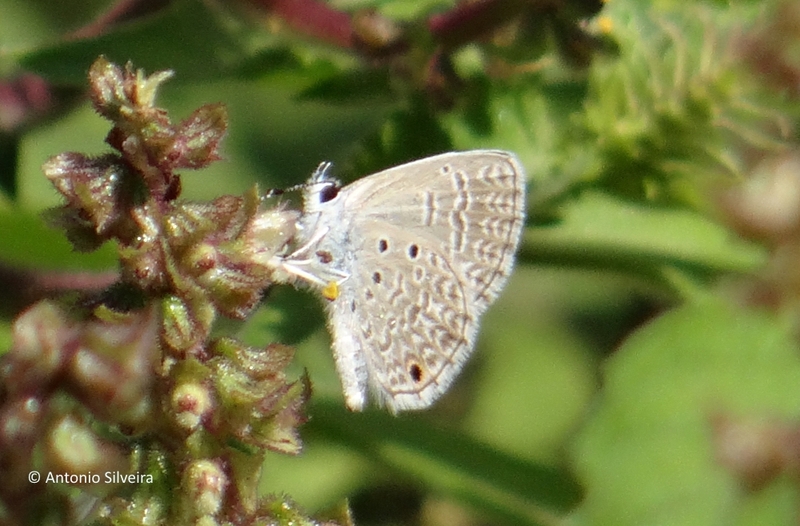 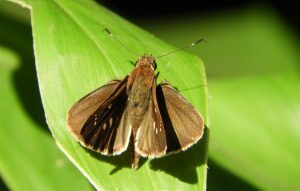 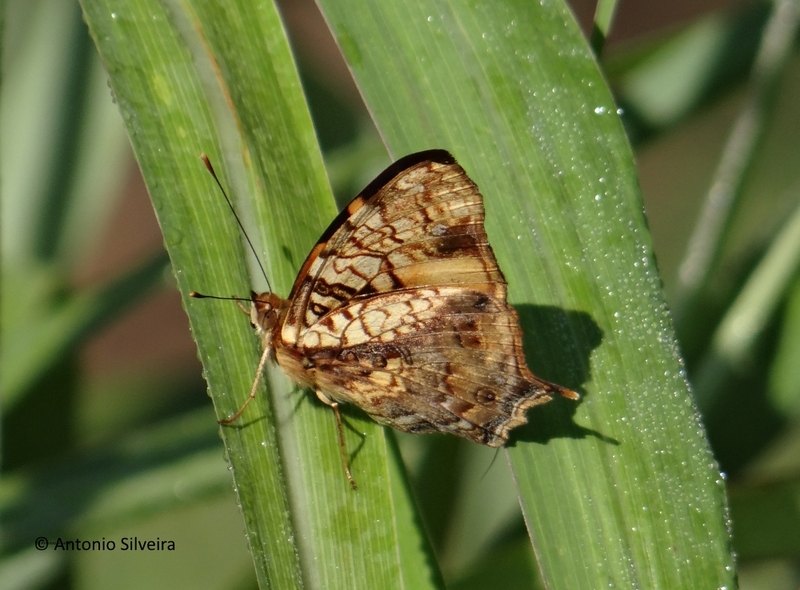 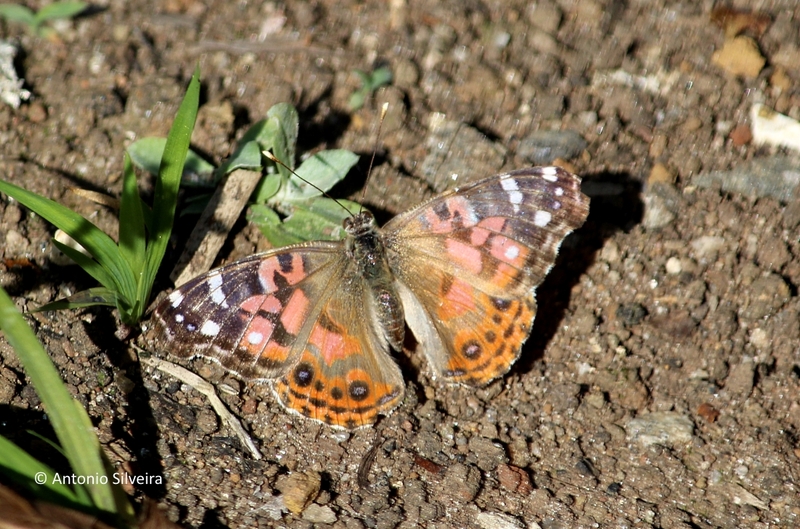 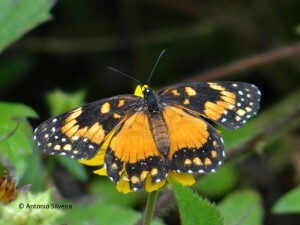 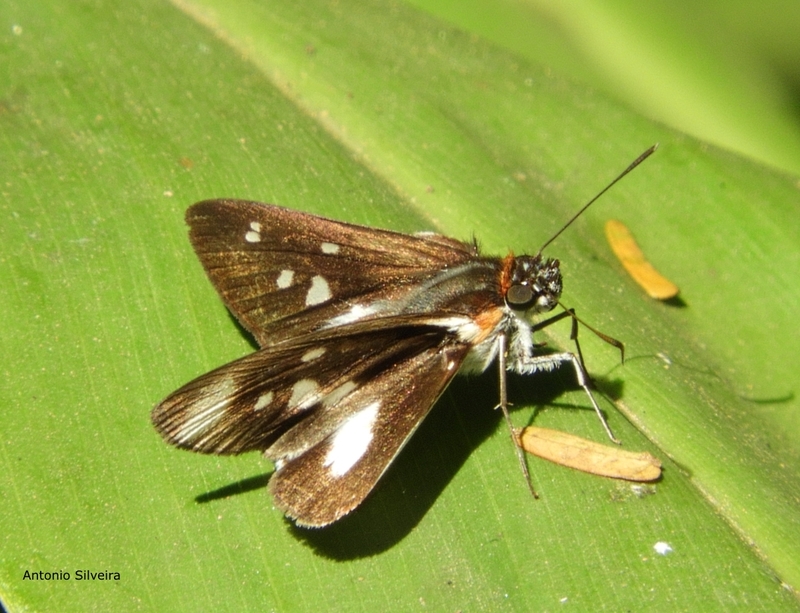 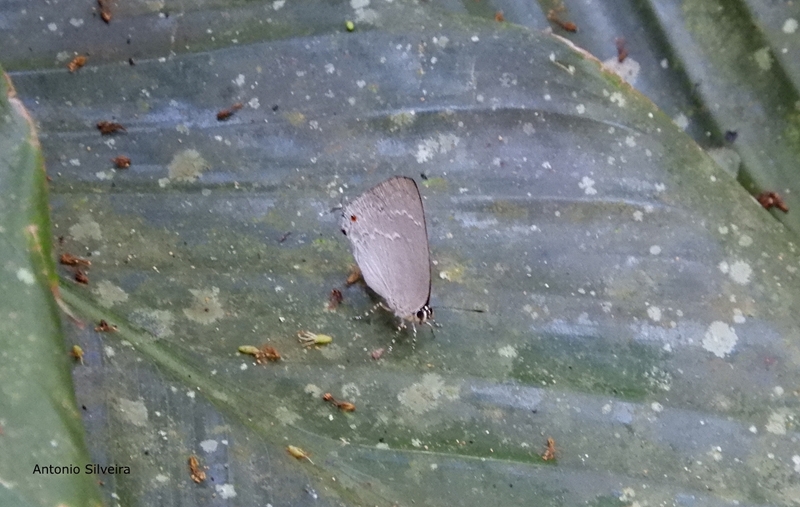 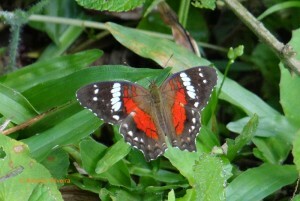 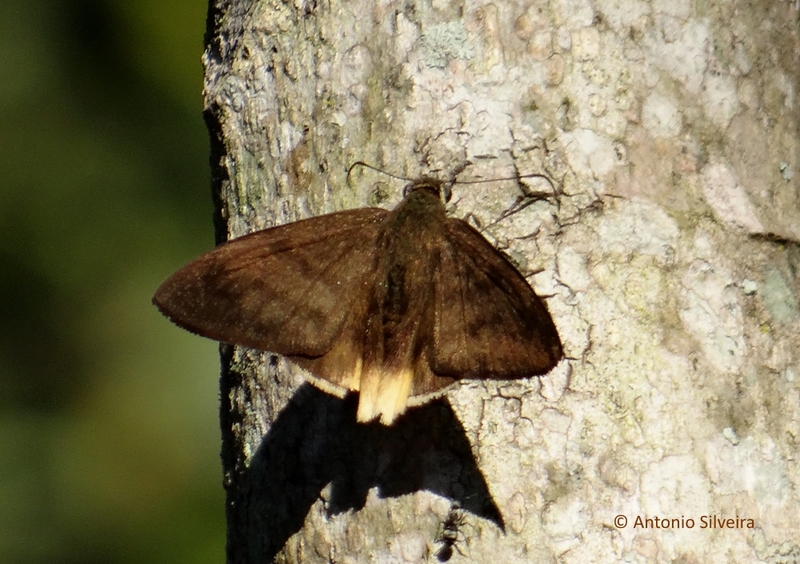 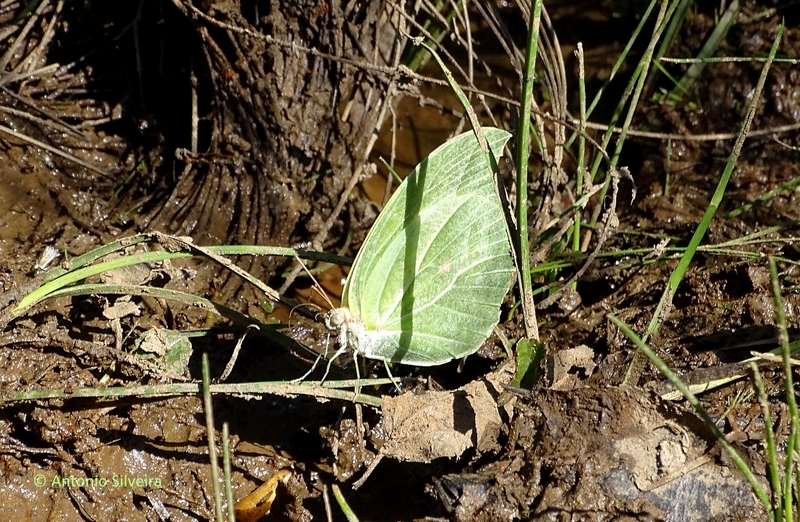 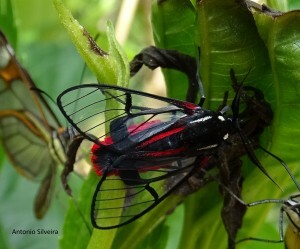 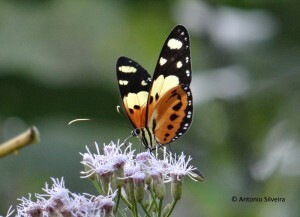 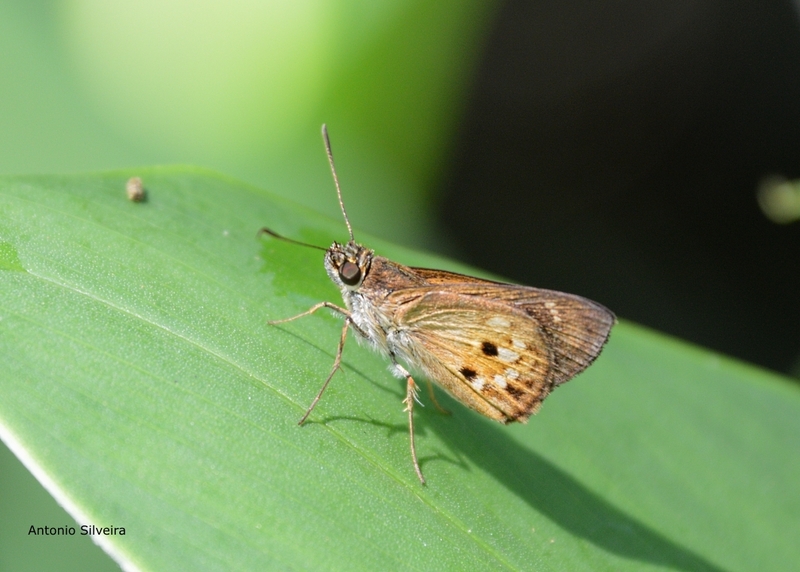 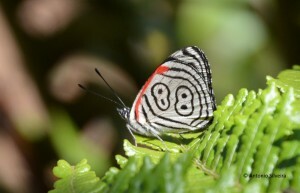 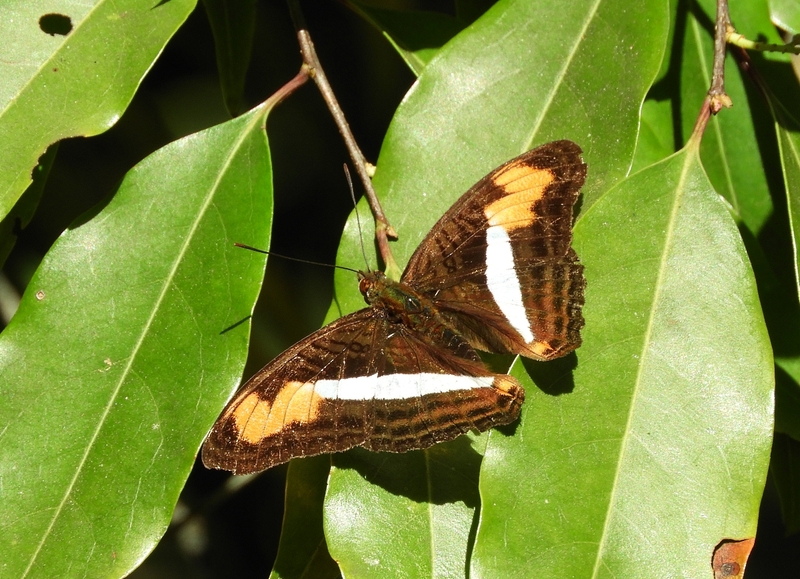 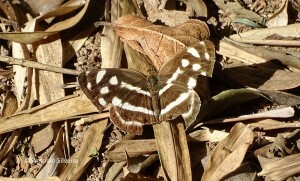 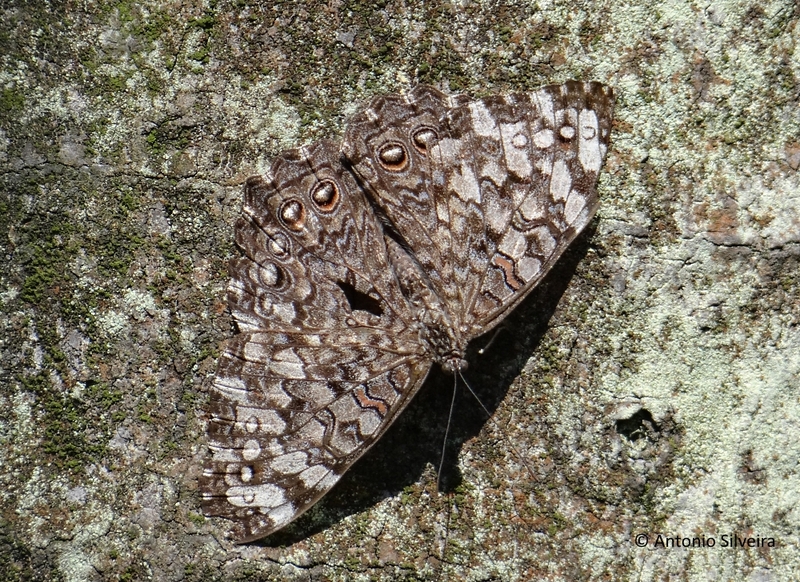 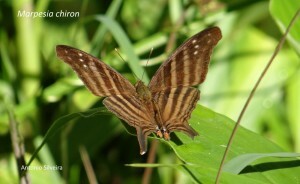 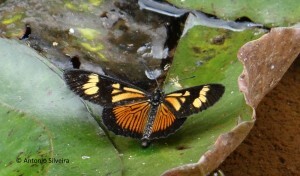 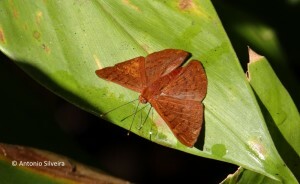 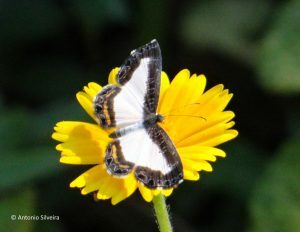 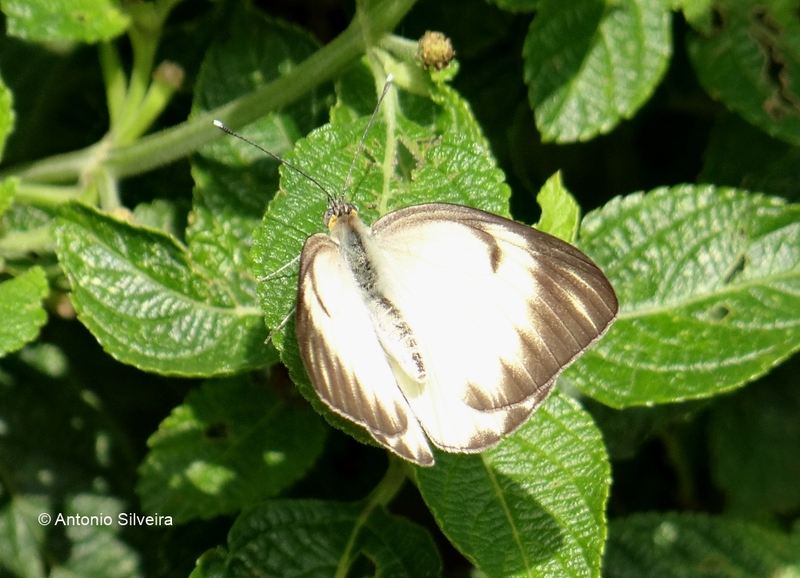 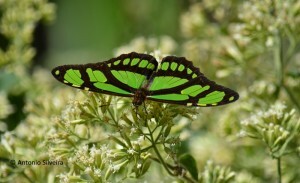 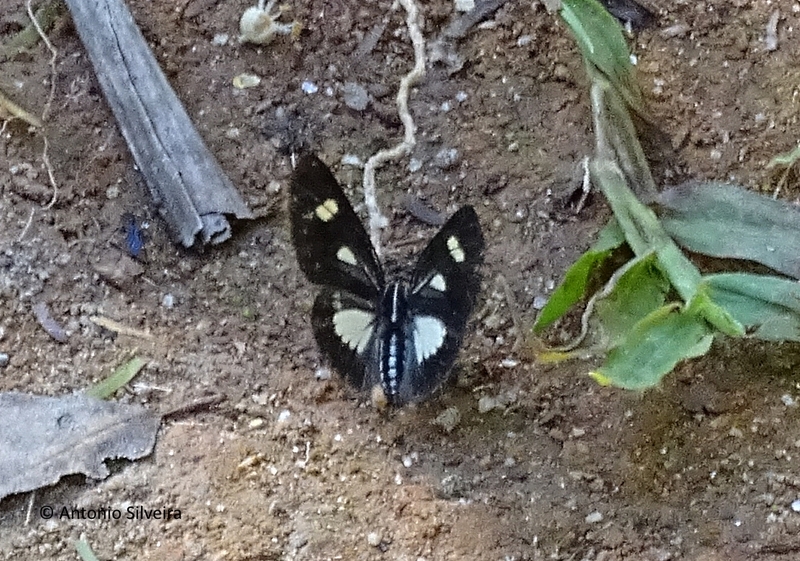 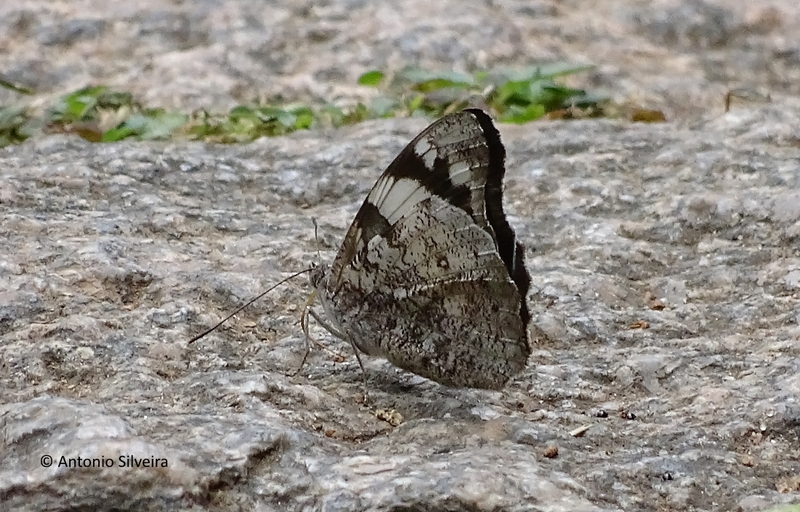 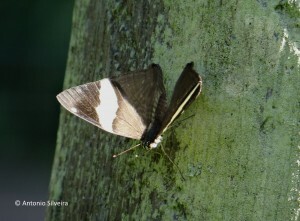 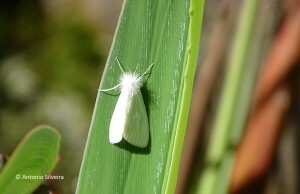 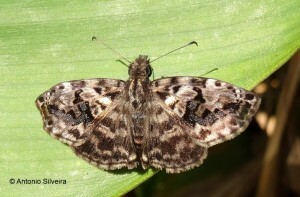 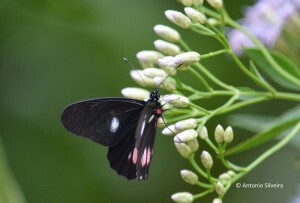 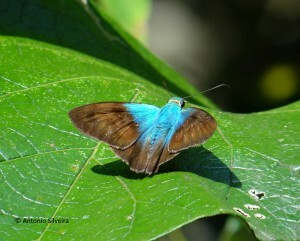 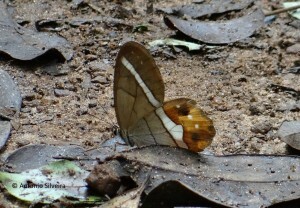 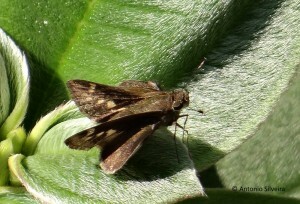 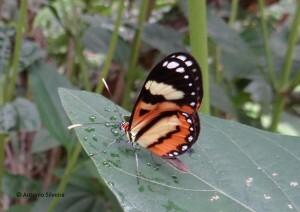 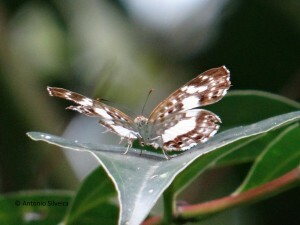 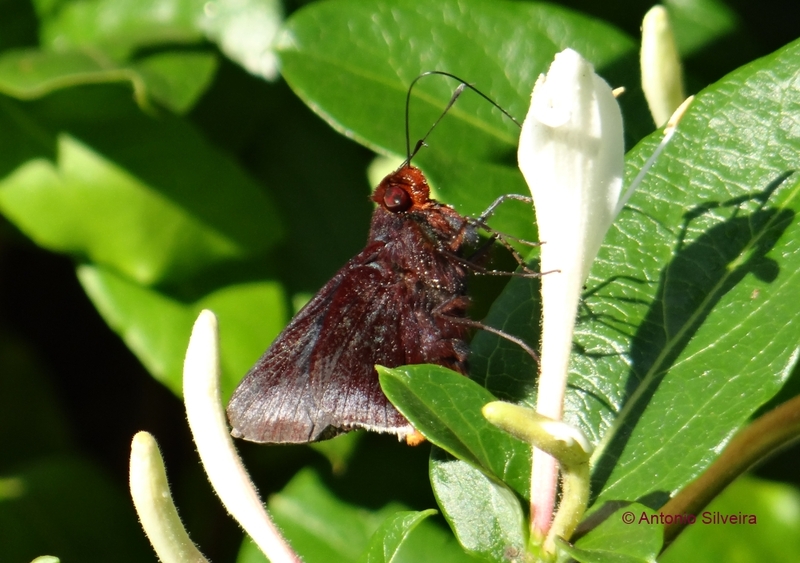 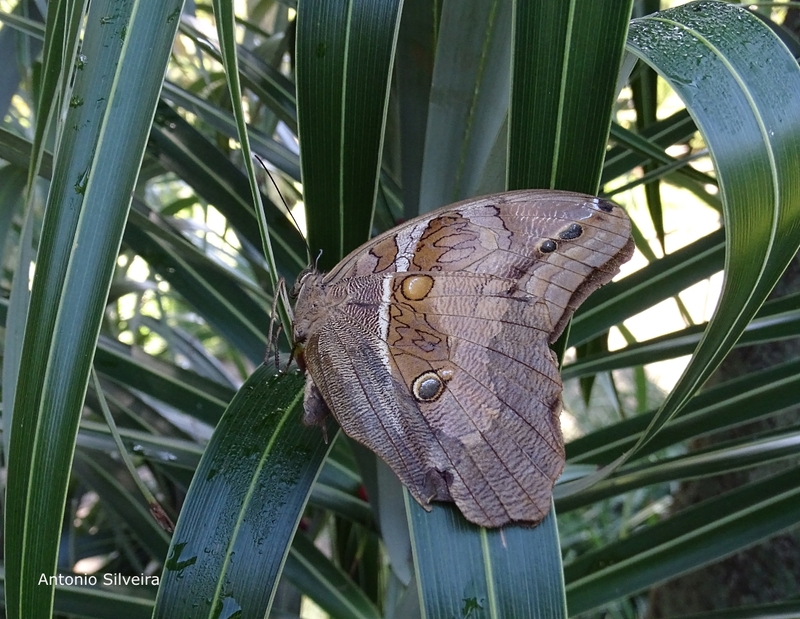 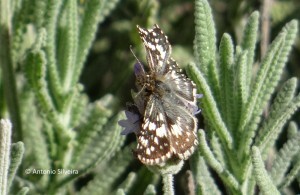 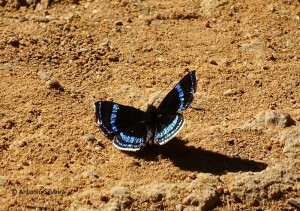 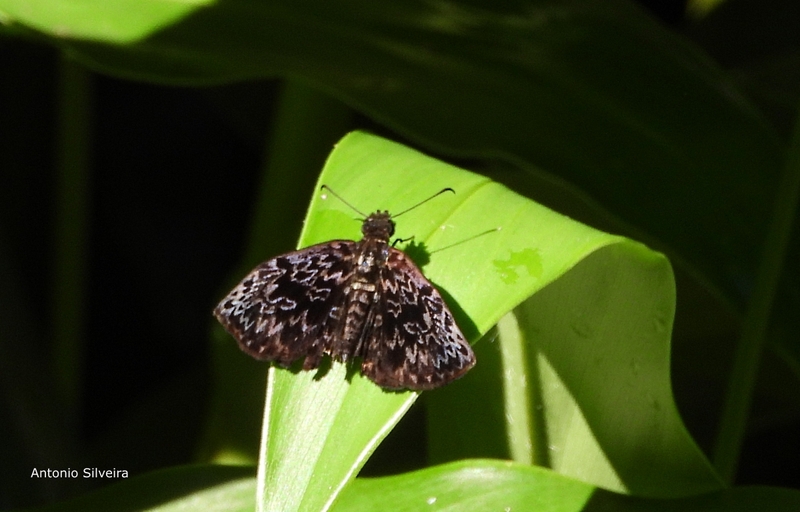 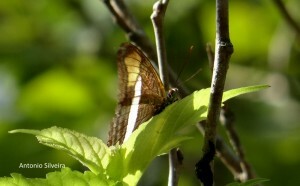 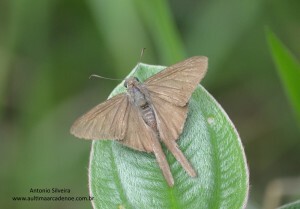 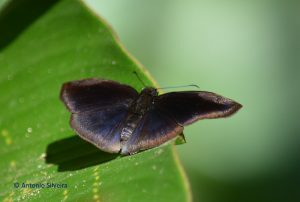 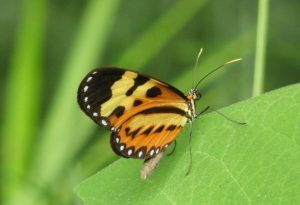 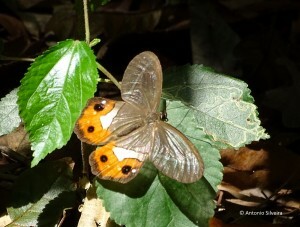 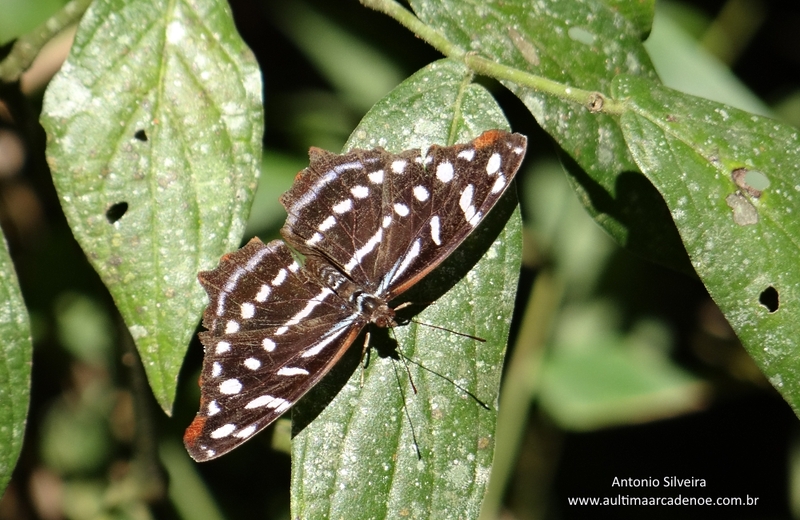 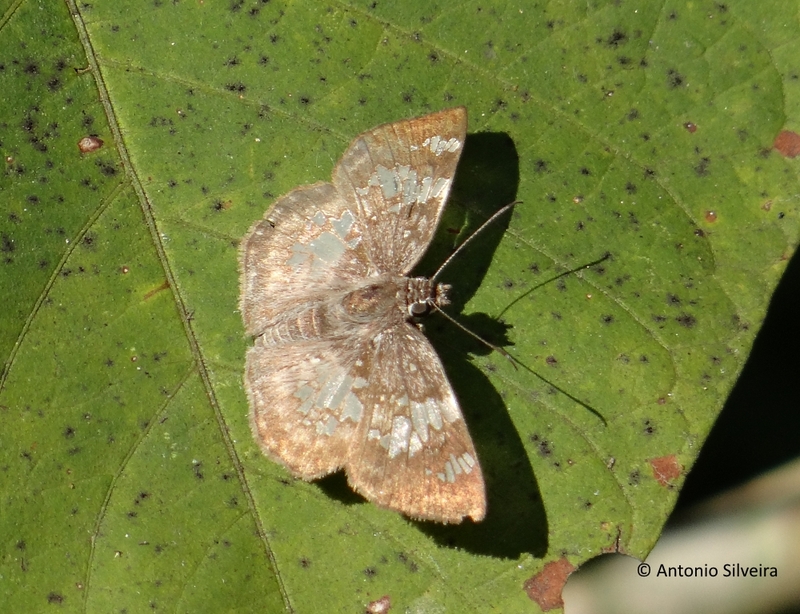 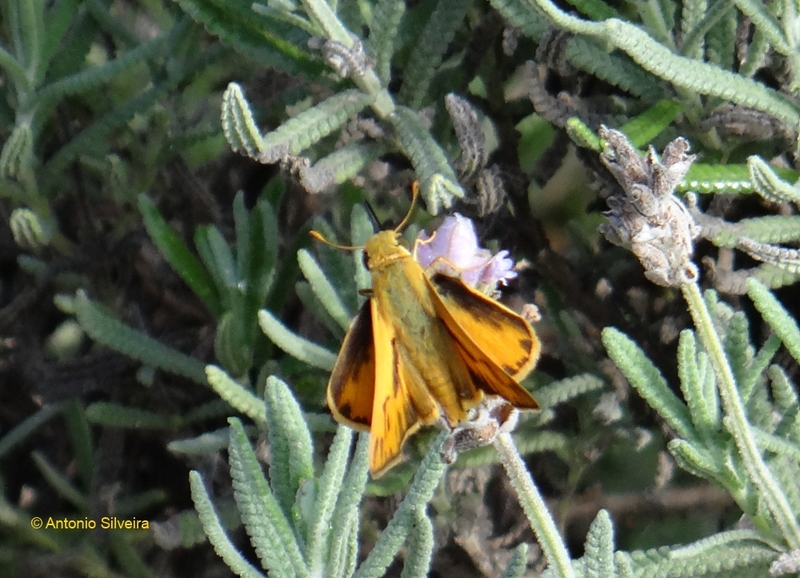 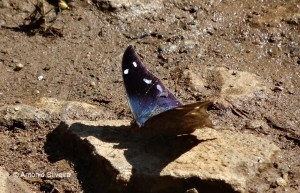 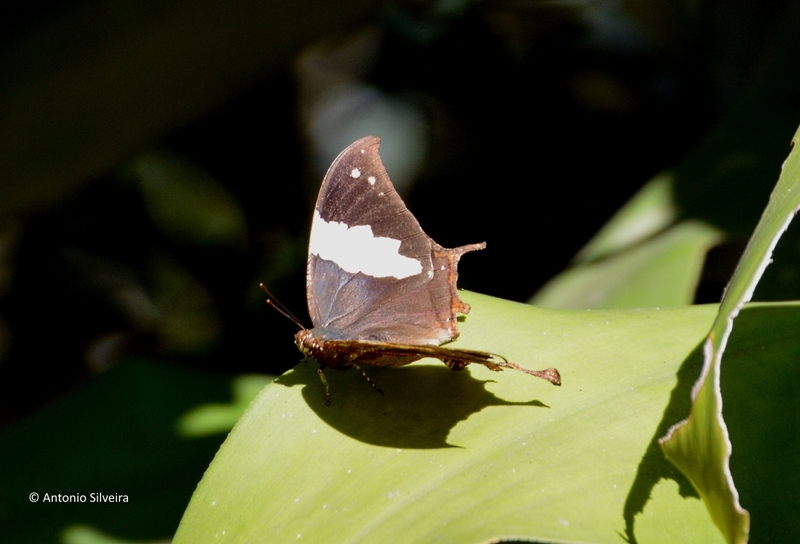 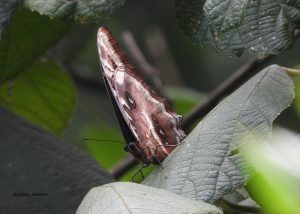 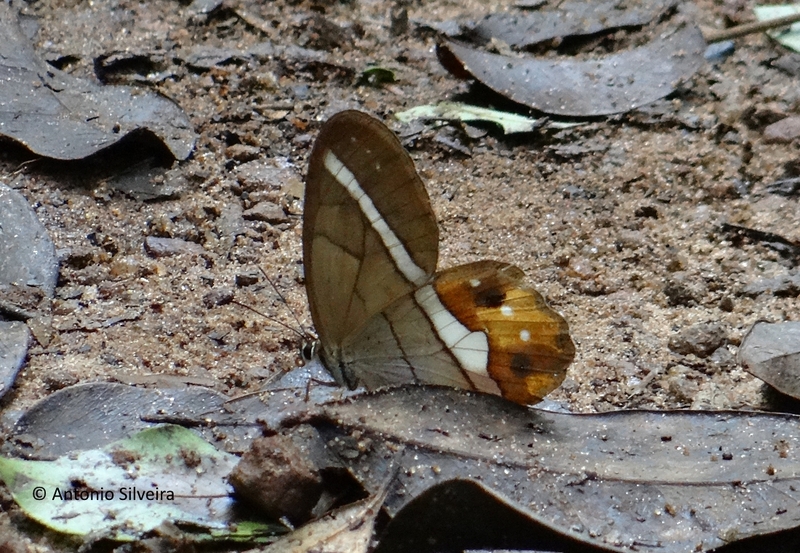 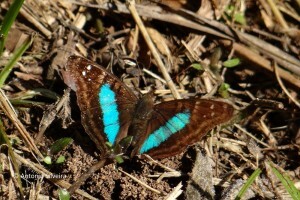 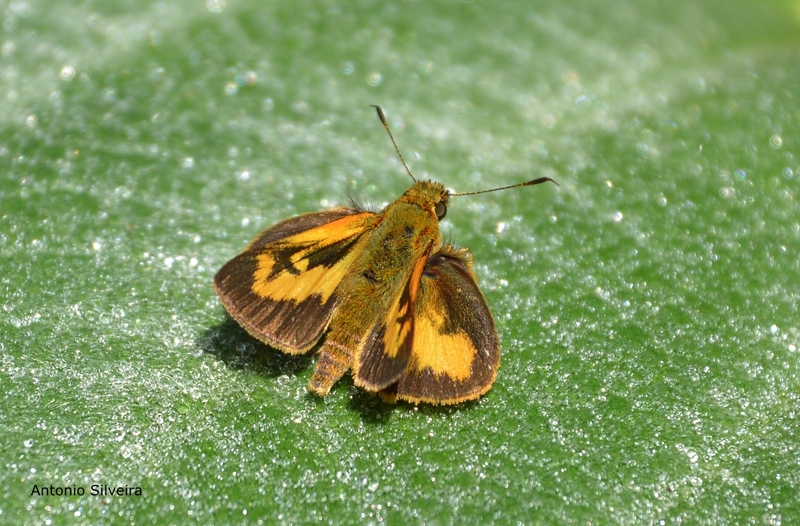 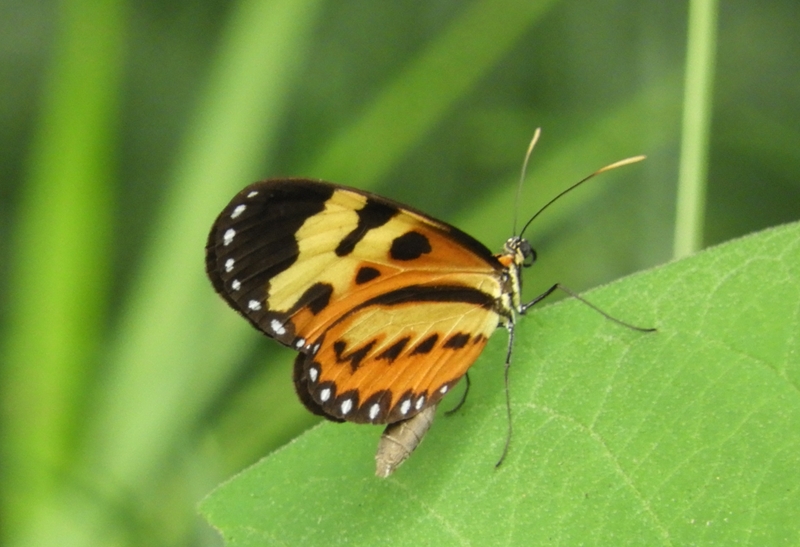 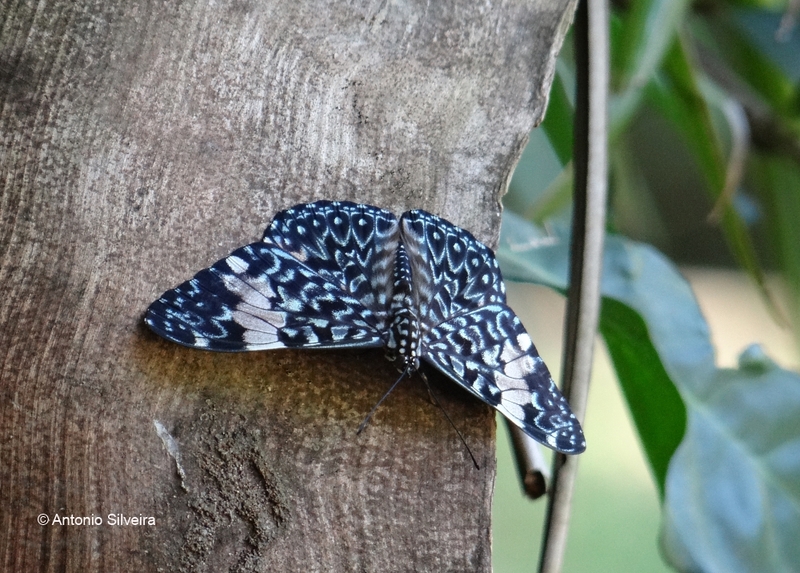 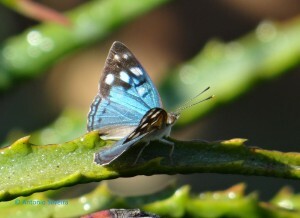 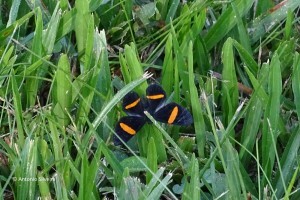 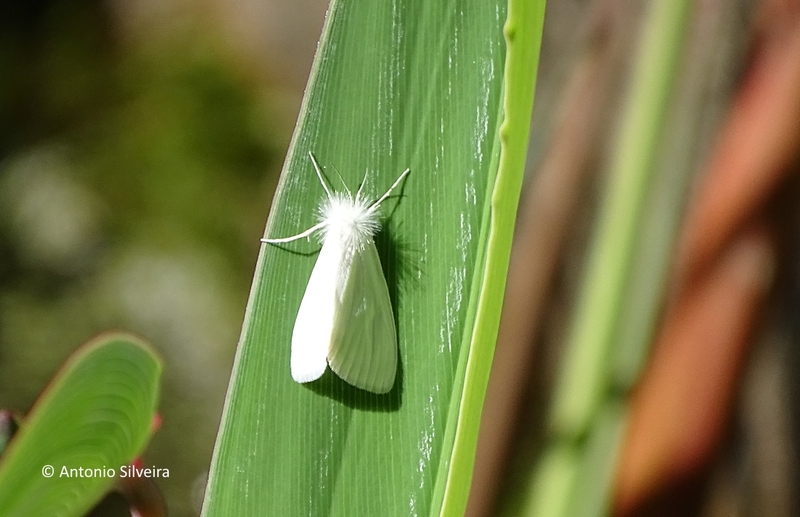 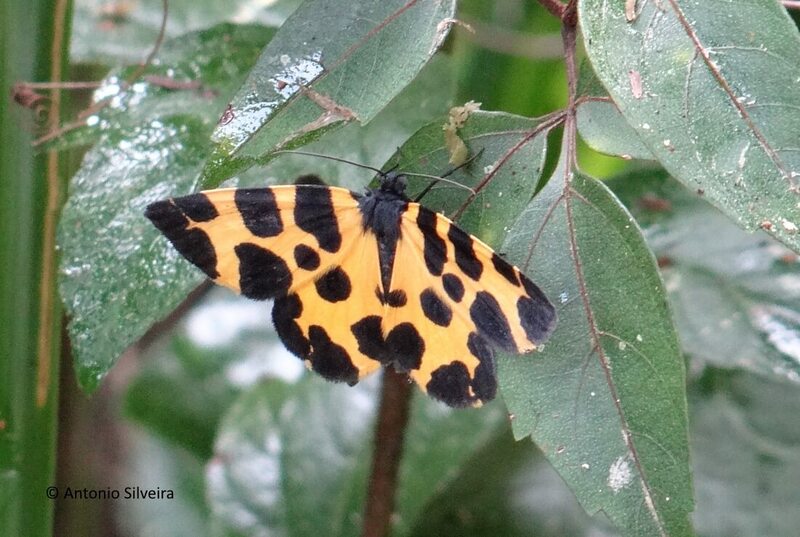 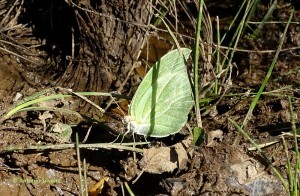 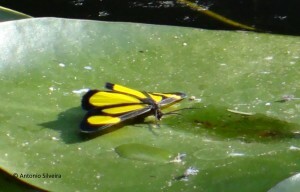 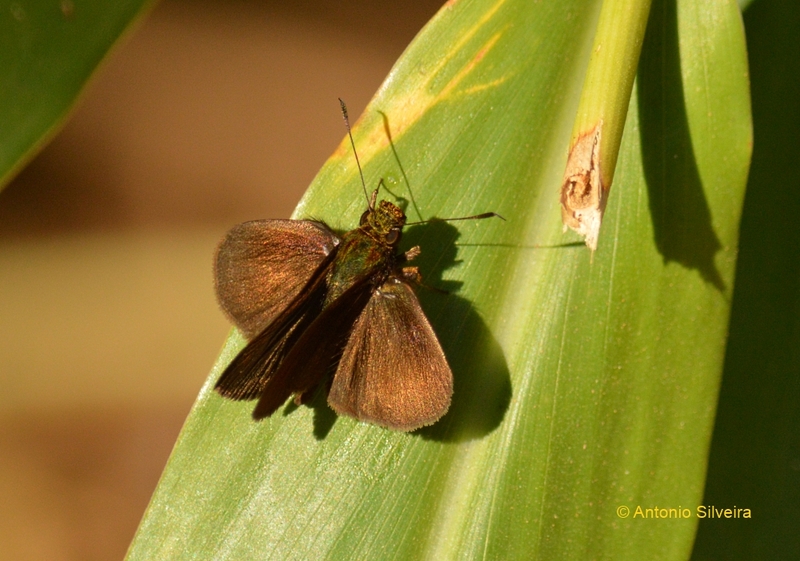 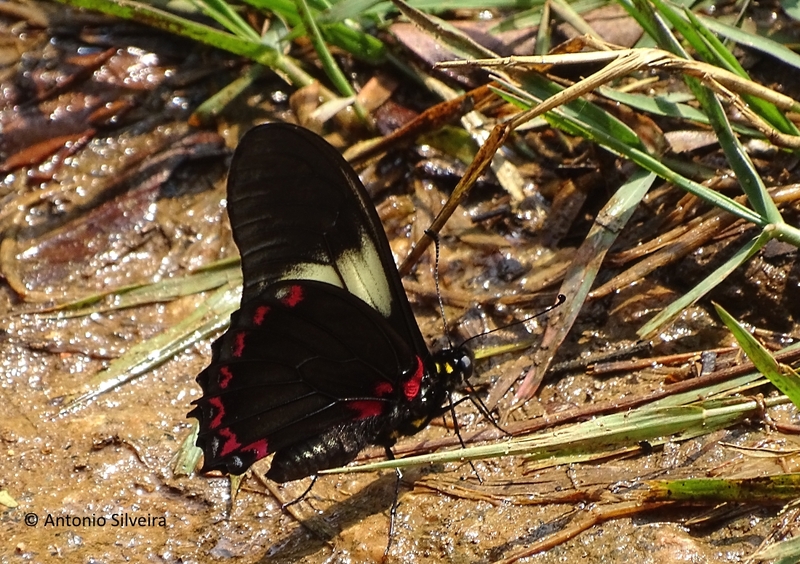 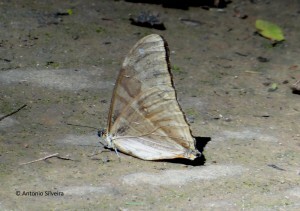 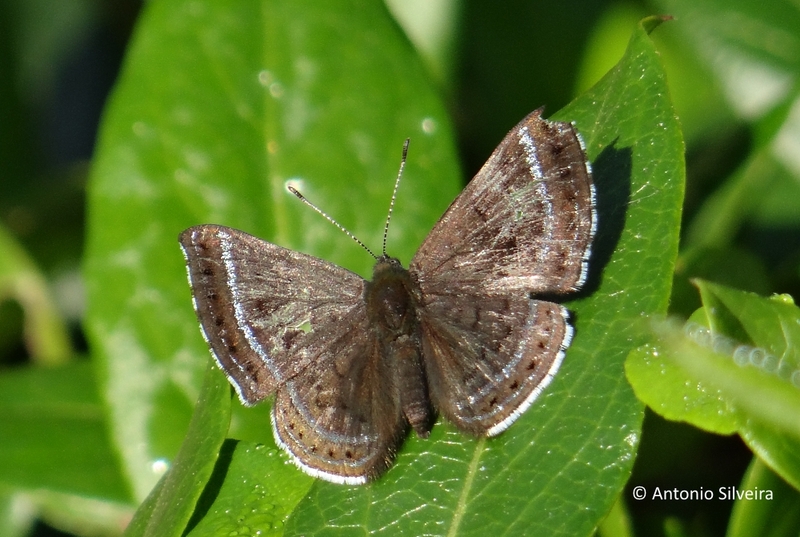 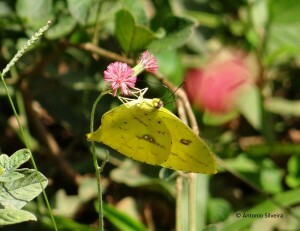 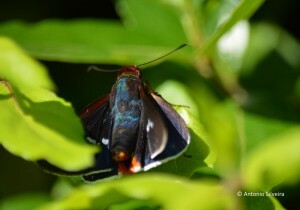 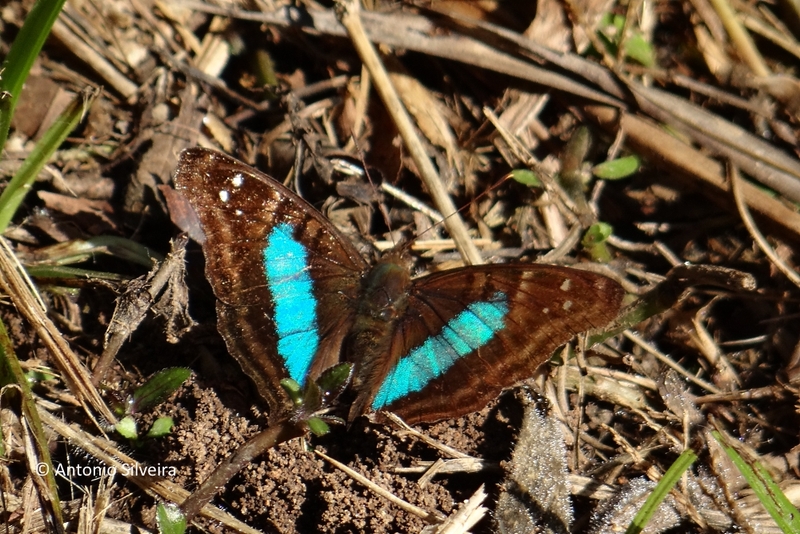 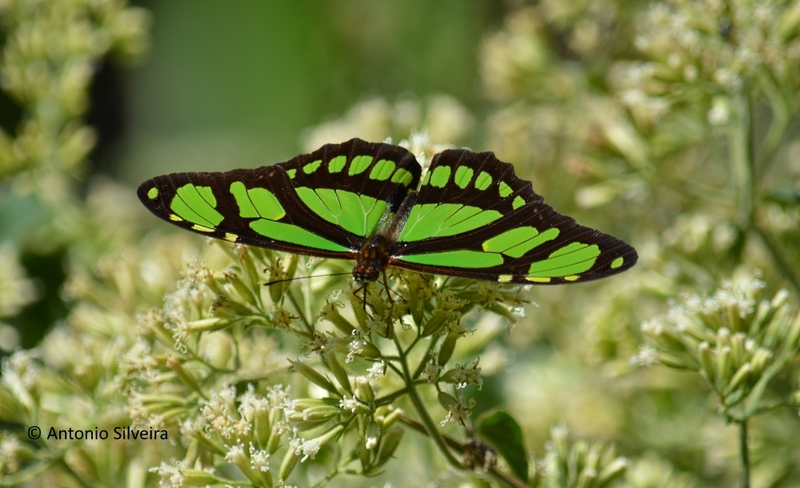 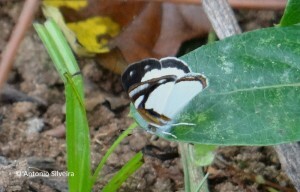 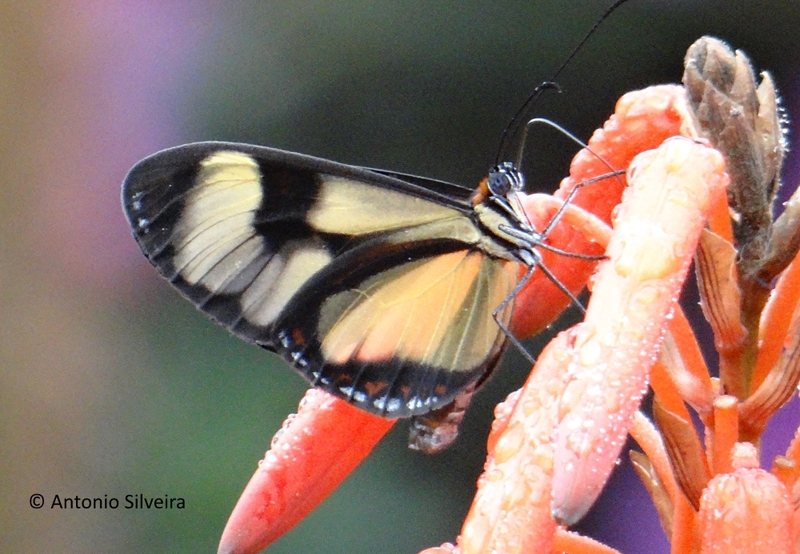 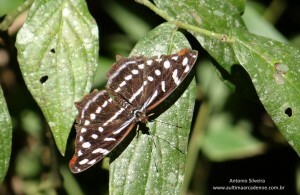 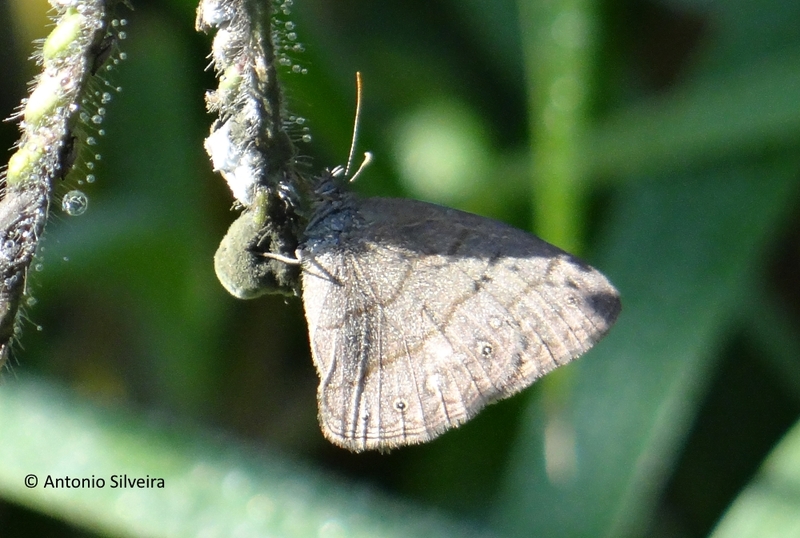 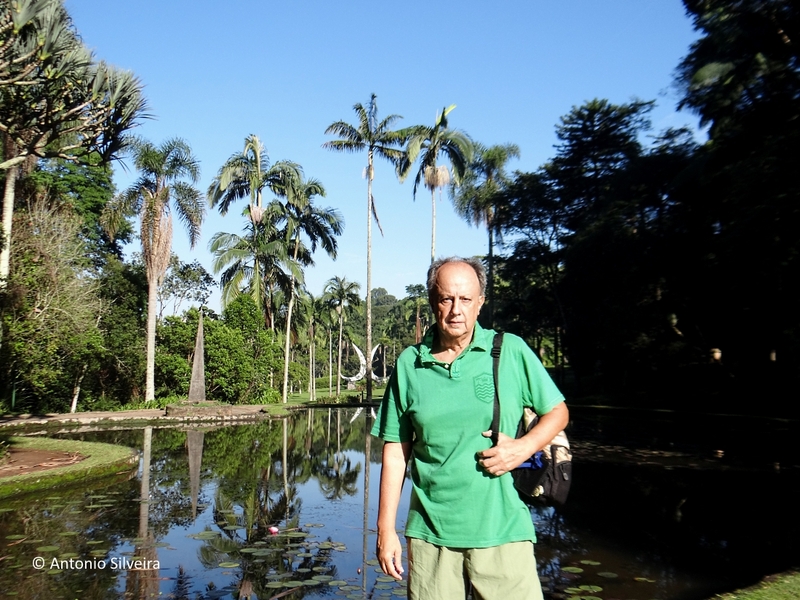 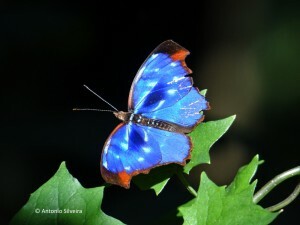 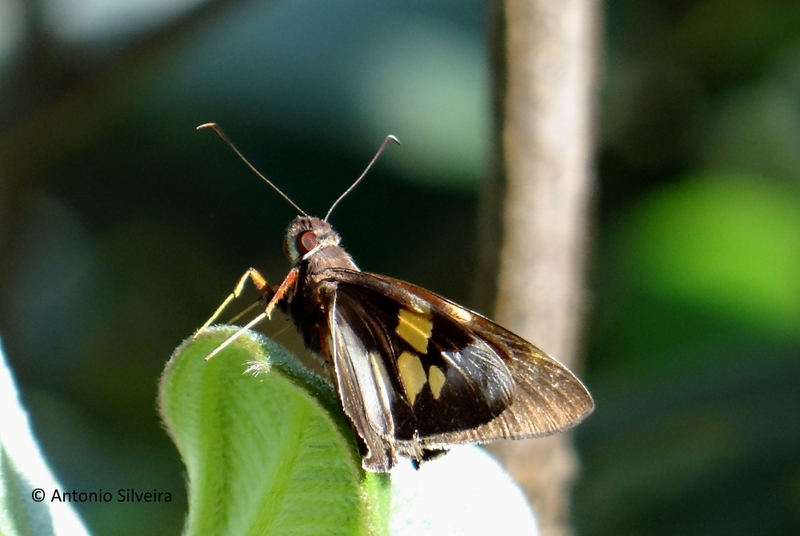 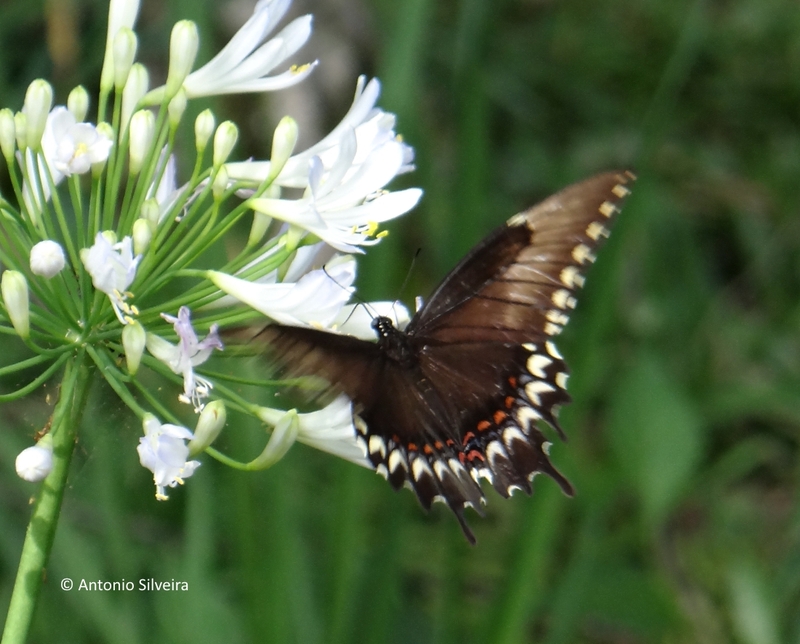 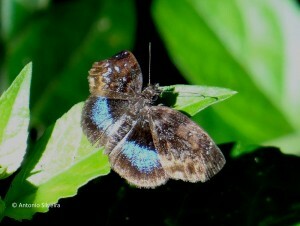 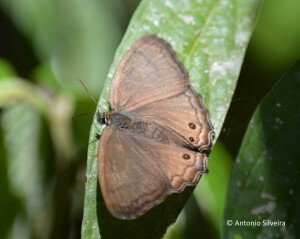 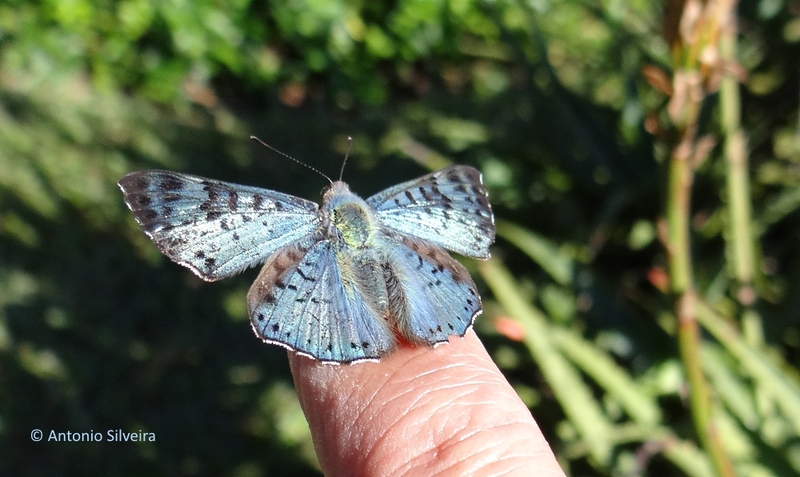 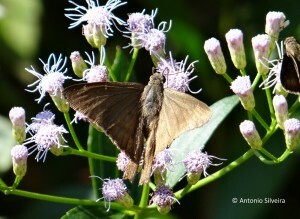 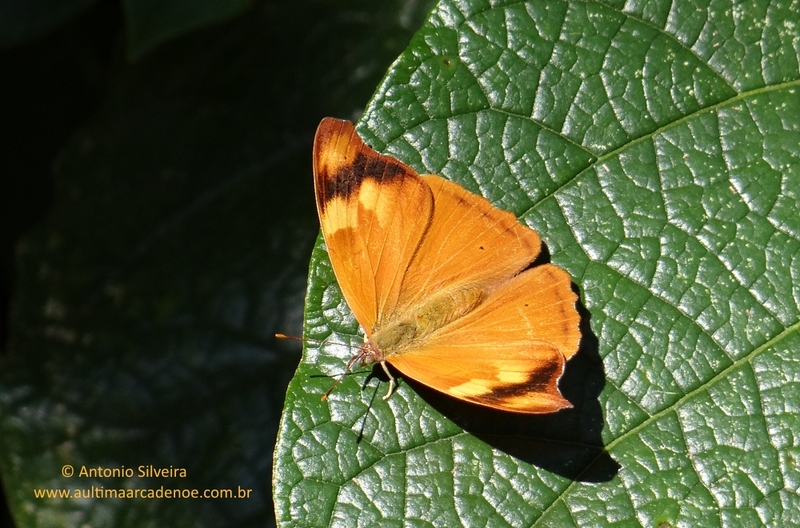 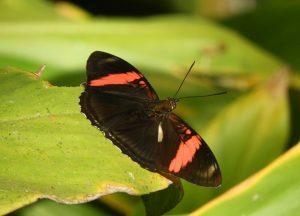 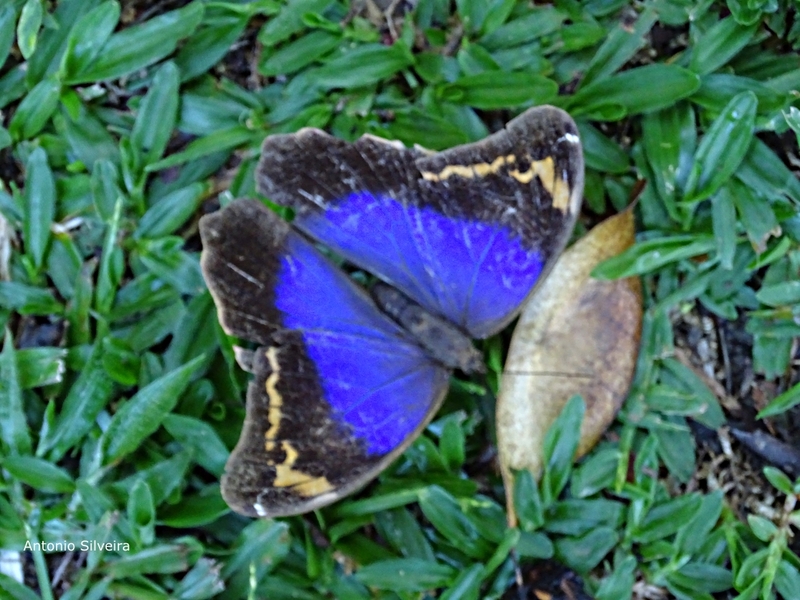 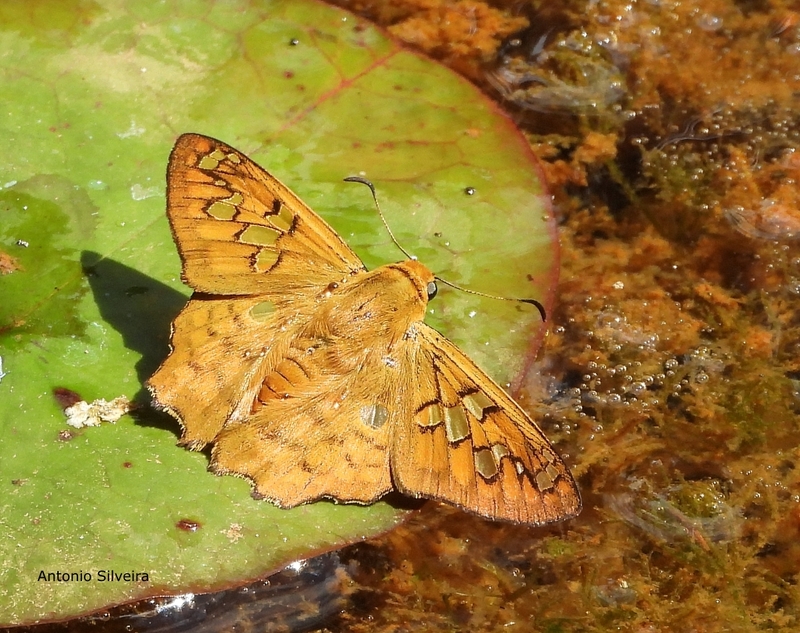 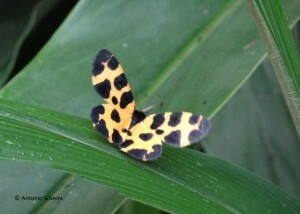 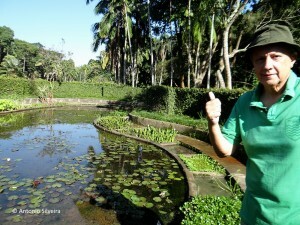 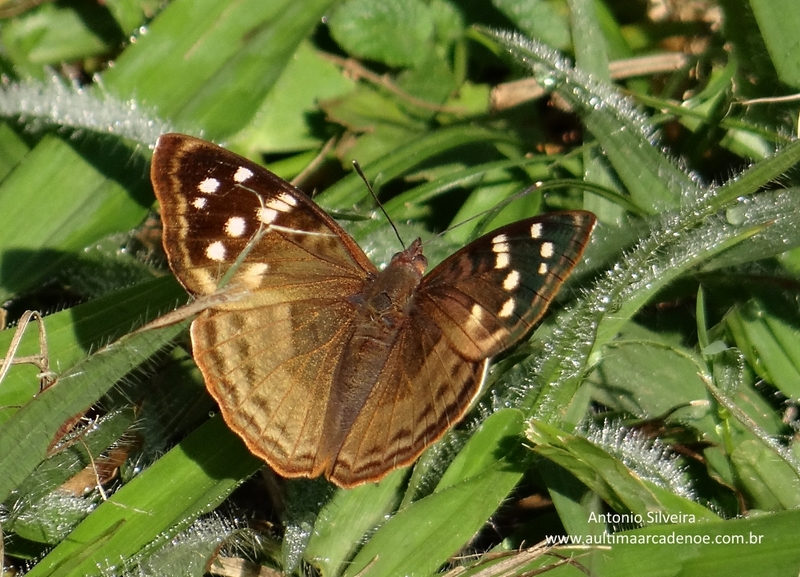 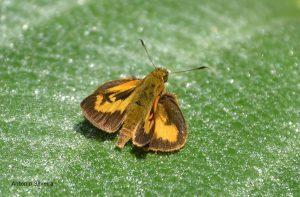 Recently (as of February 2015) we started our visits to green areas and especially in city parks and Botanical Garden watching butterflies (butterfly watching) and records them by photos and videos, for our files and to assist in environmental education process through our website (www.aultimaarcadenoe.com.br). 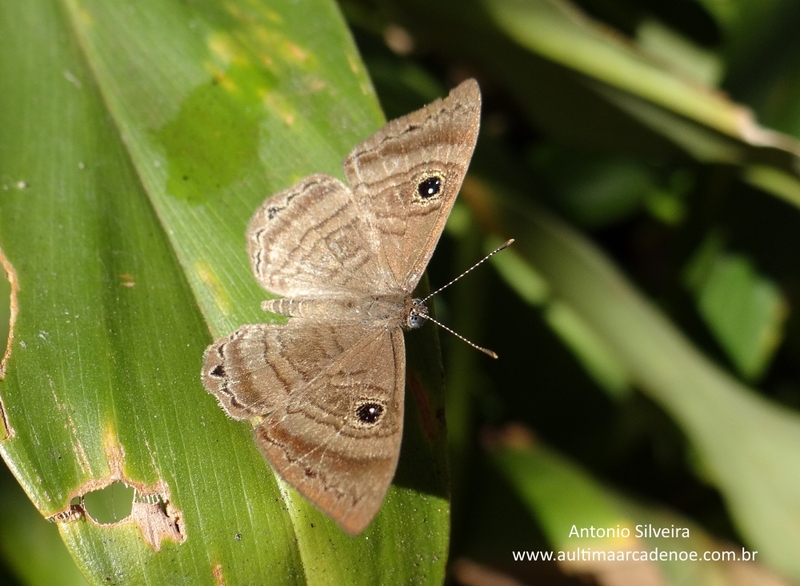 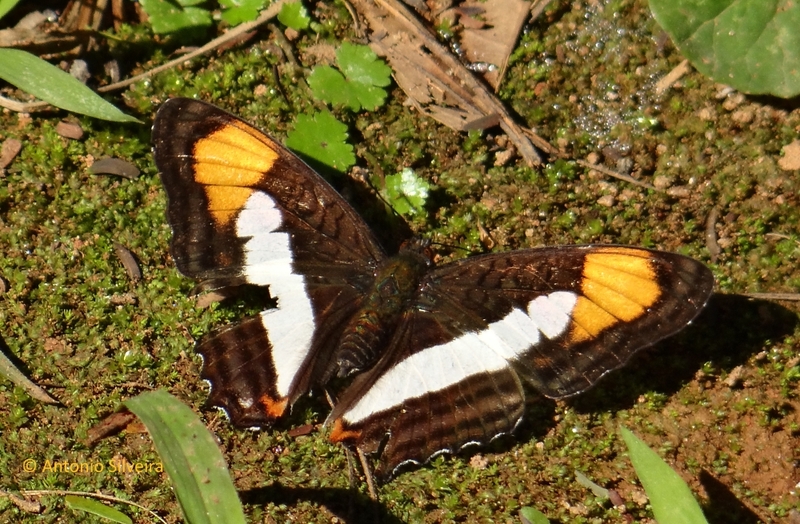 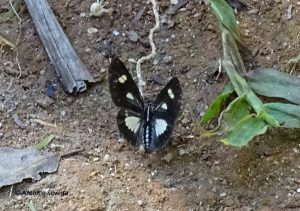 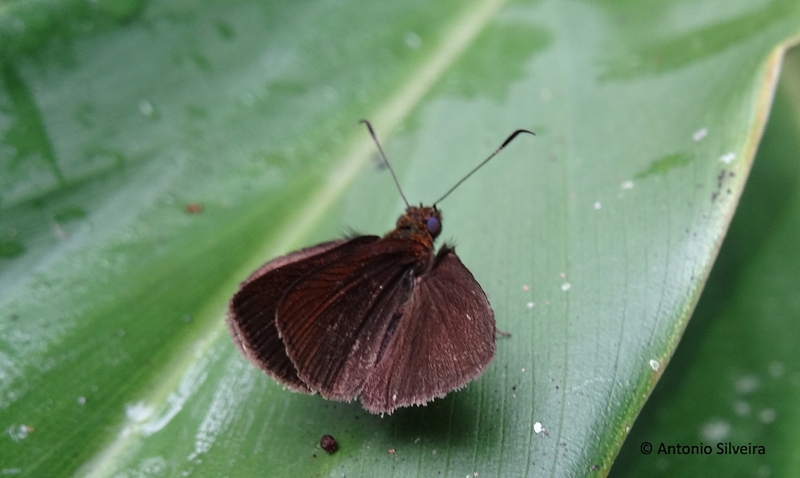 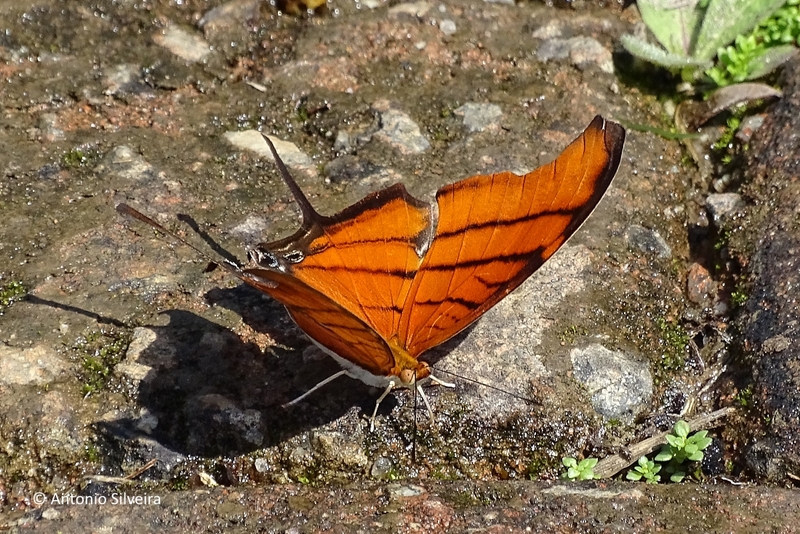 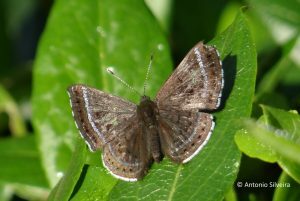 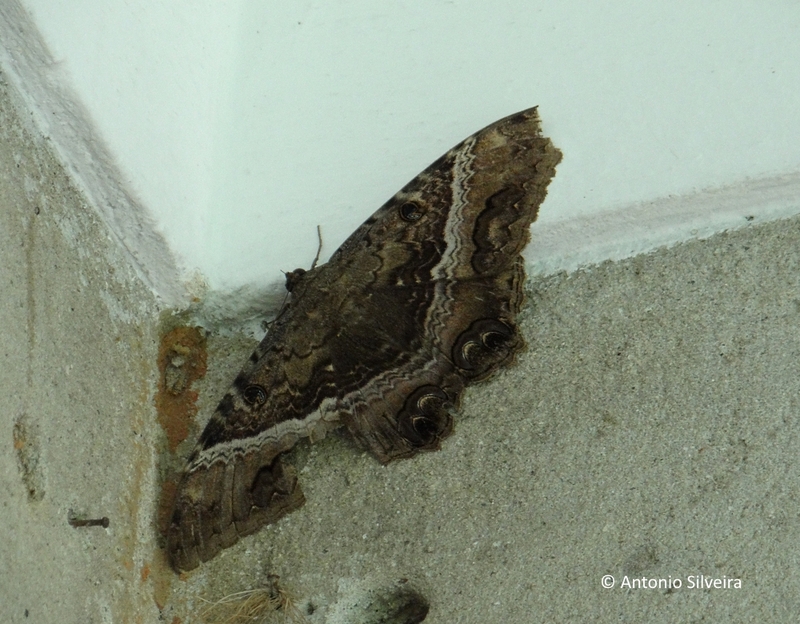 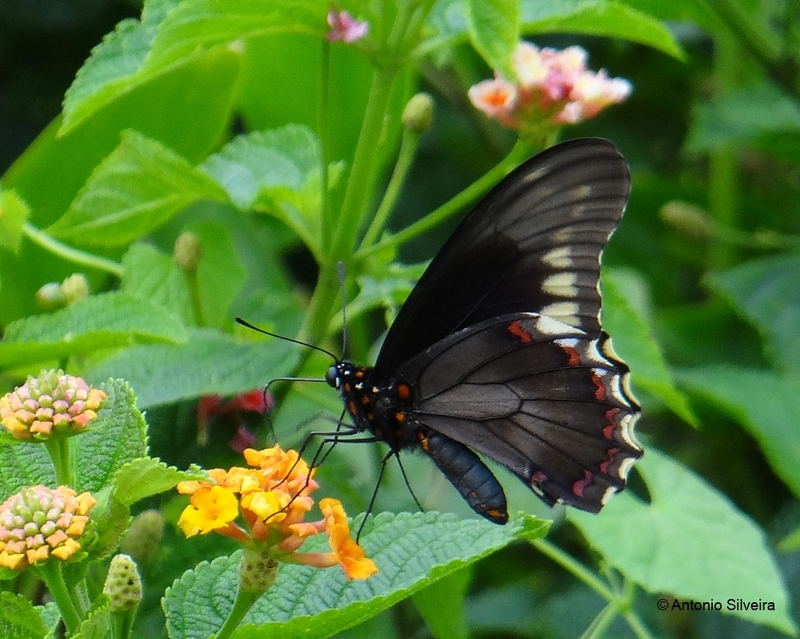 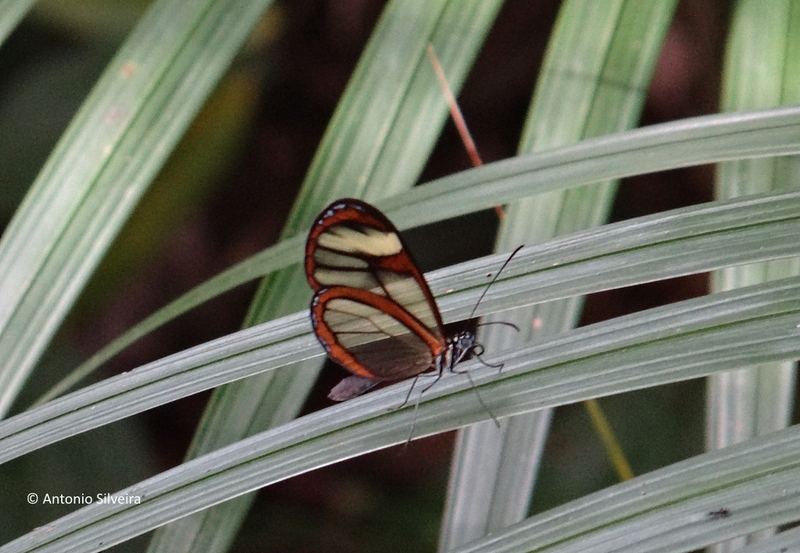 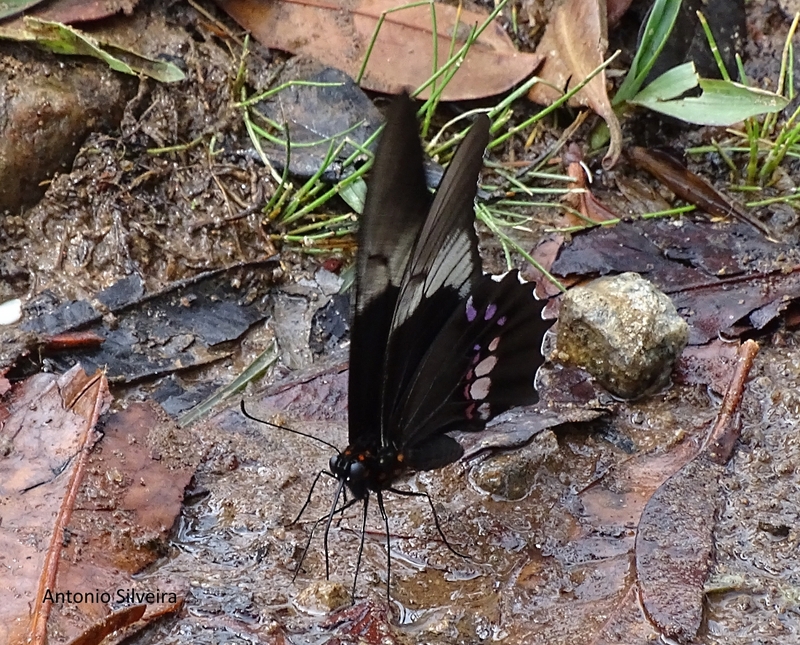 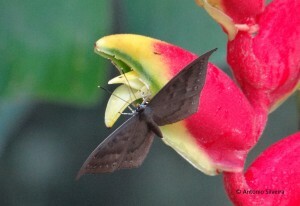 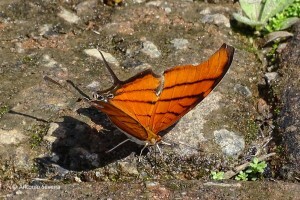 Follows the alphabetical listing of butterfly (and moths) species recorded by us in the São Paulo Botanical Garden. 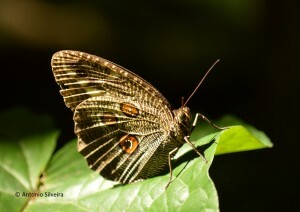 by Antonio Silveira. 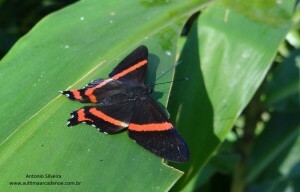 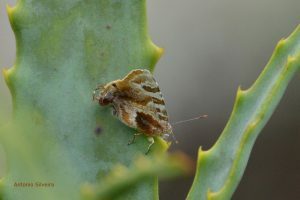 Obs: (probable occurrence) because it was recorded by the author in other green areas of the city of Sao Paulo but not have registered for the botanical garden yet, but probable for this local. 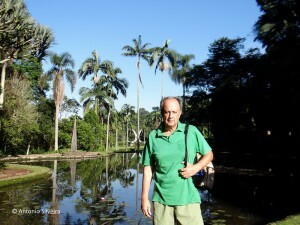 The author in Botanical Garden area.